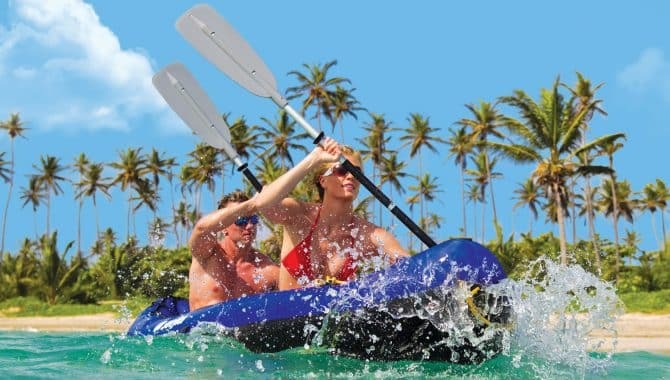 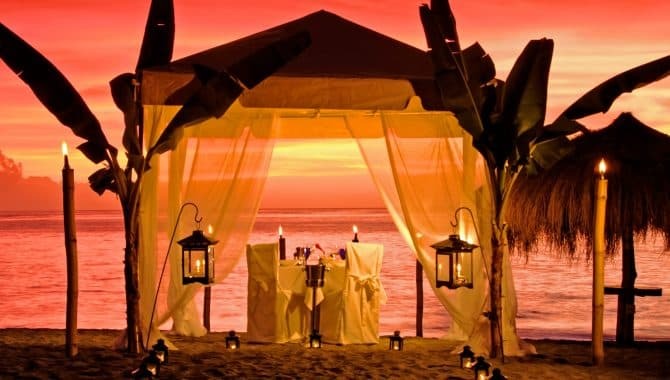 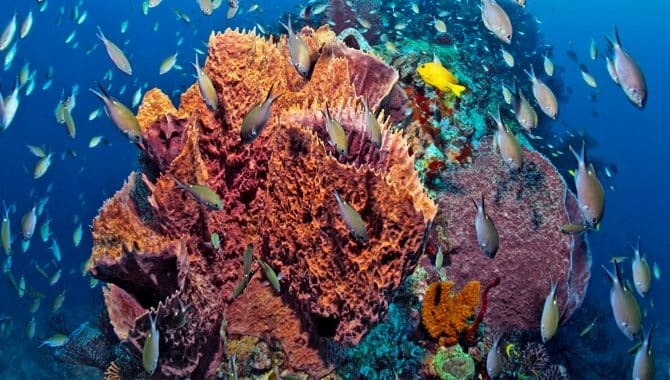 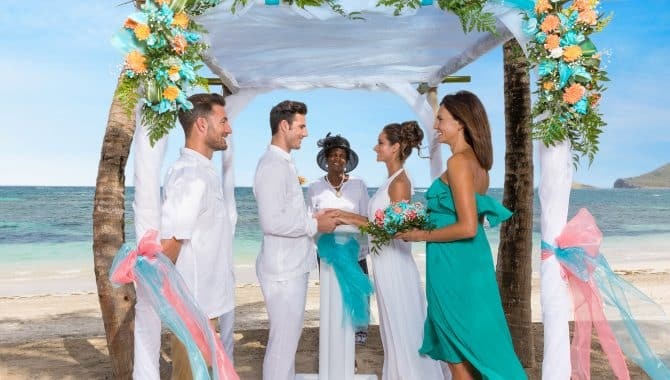 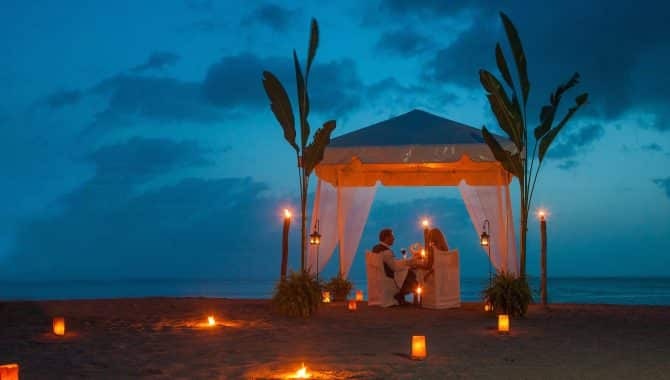 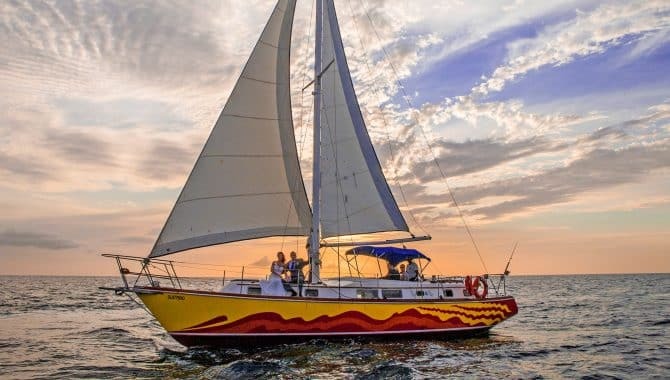 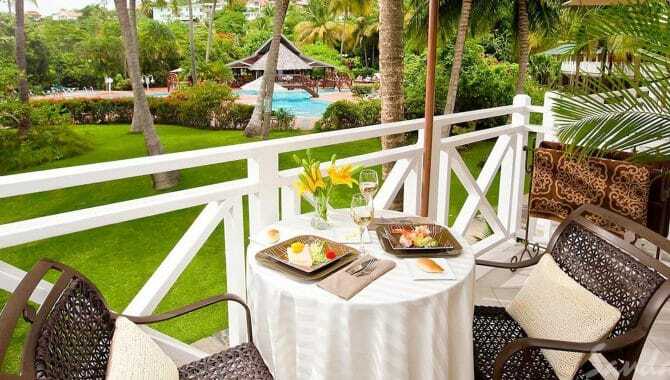 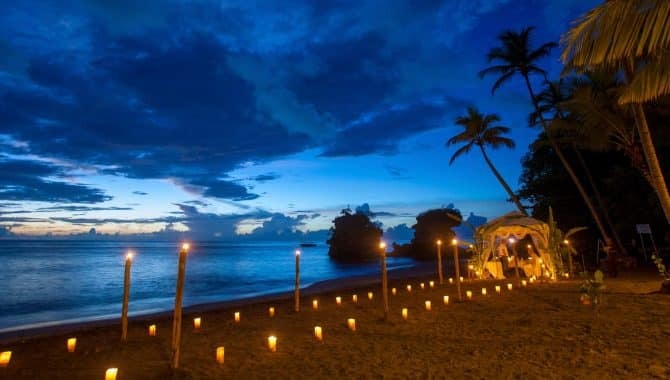 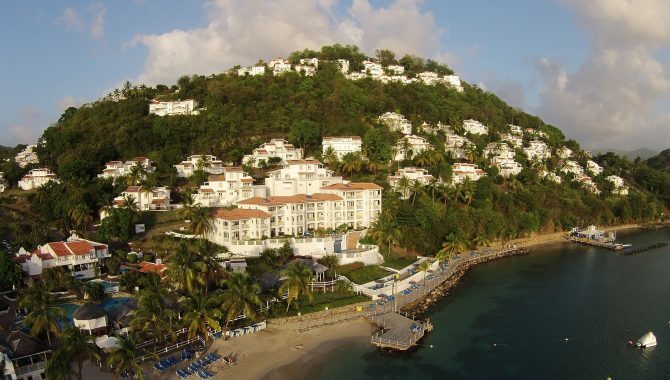 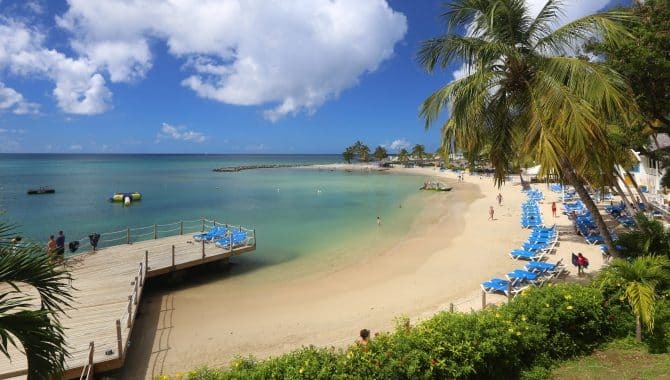 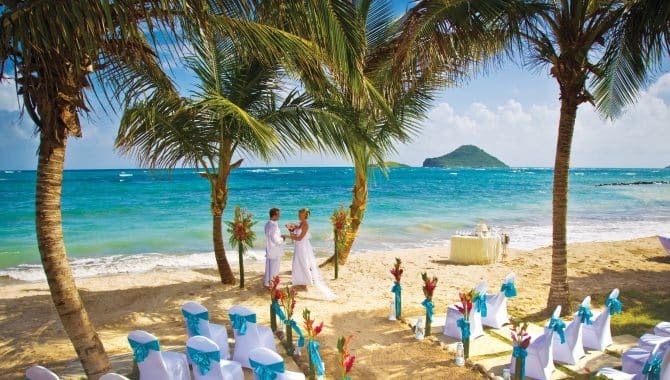 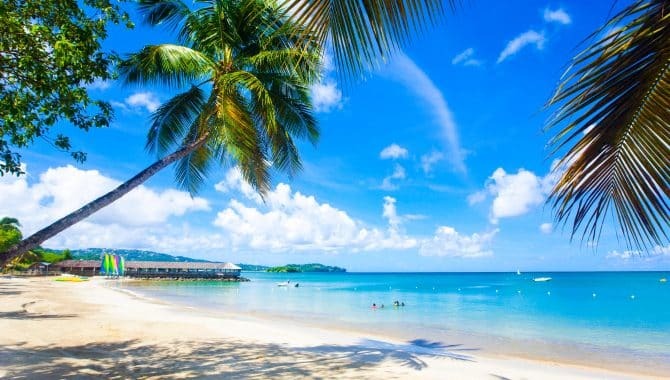 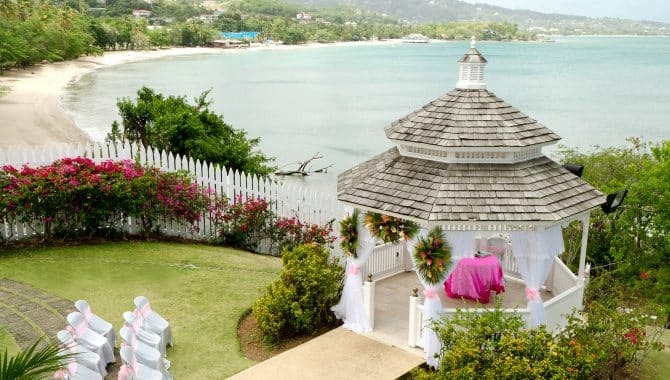 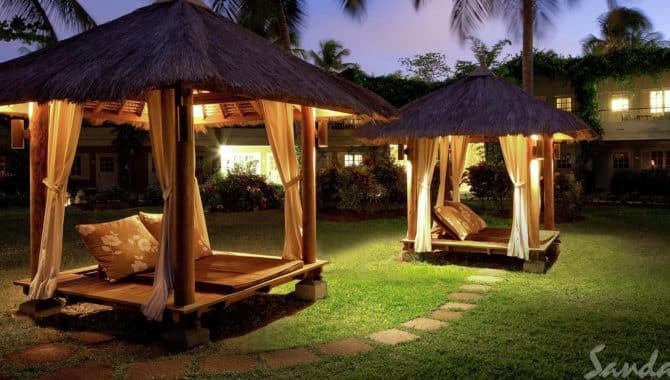 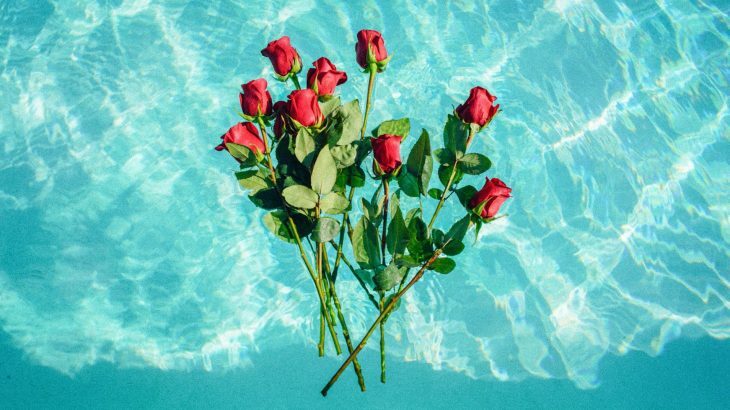 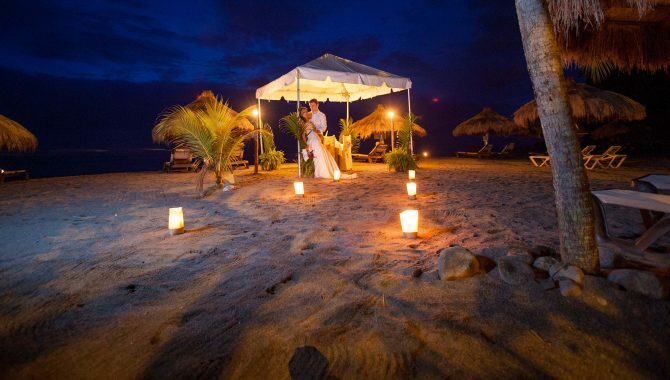 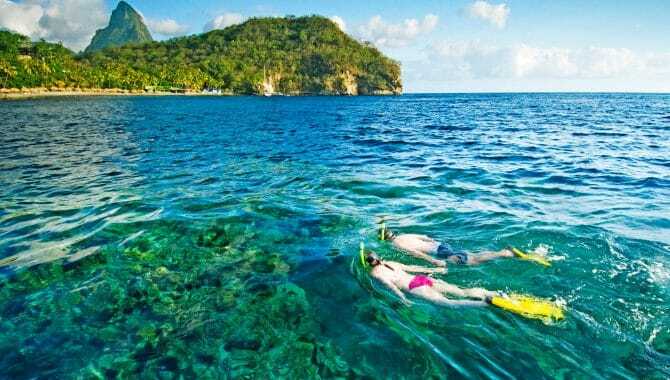 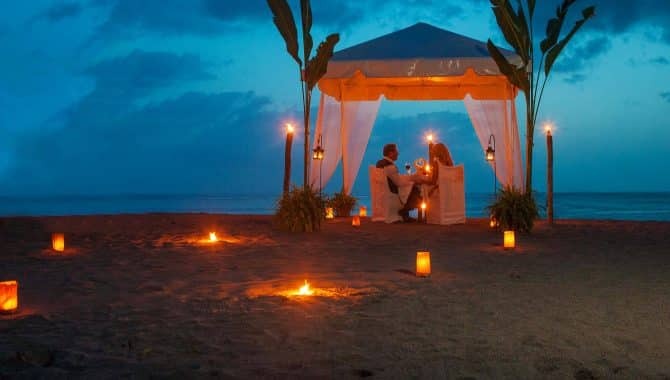 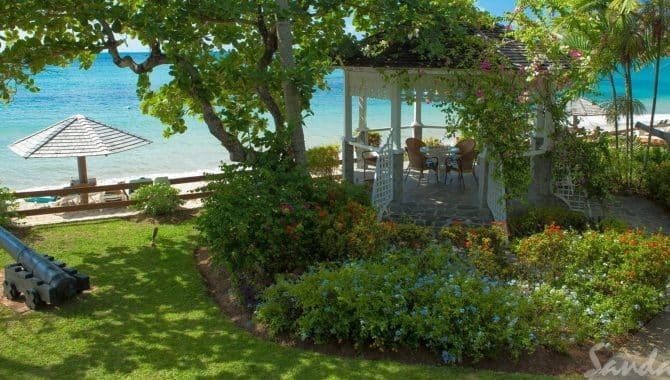 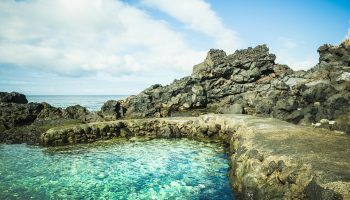 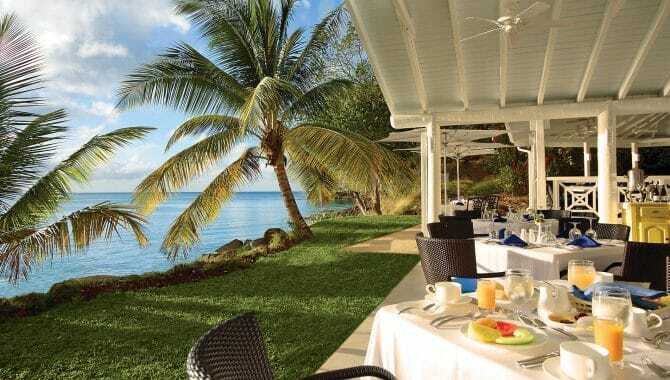 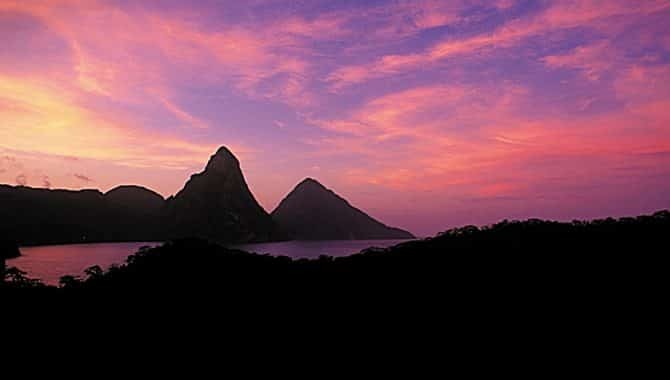 Few destinations effortlessly exude romance like St. Lucia. 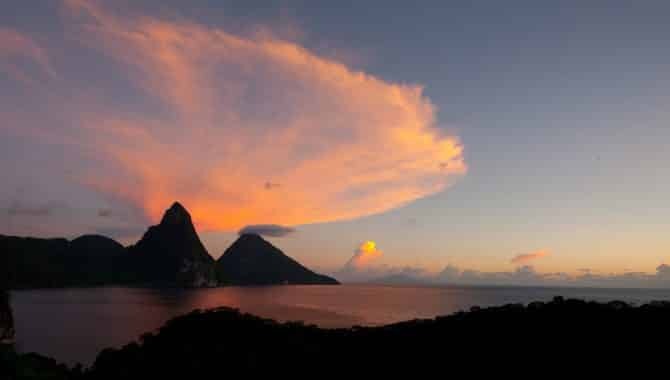 The towering Pitons, private beaches, warm locals and over-the-top beach hotels hardly scratch the surface of this lovers’ paradise. 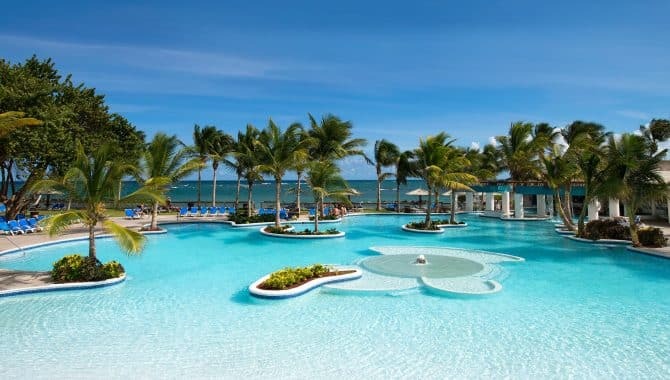 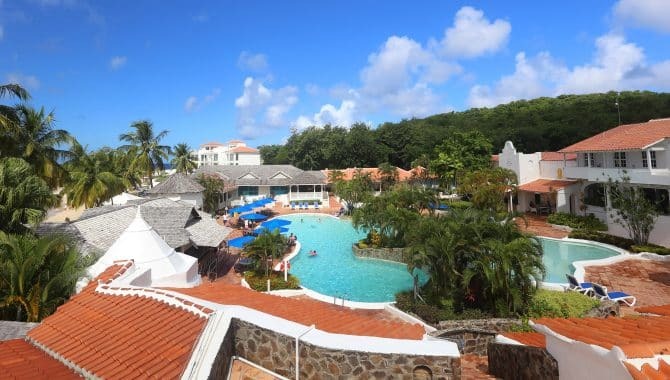 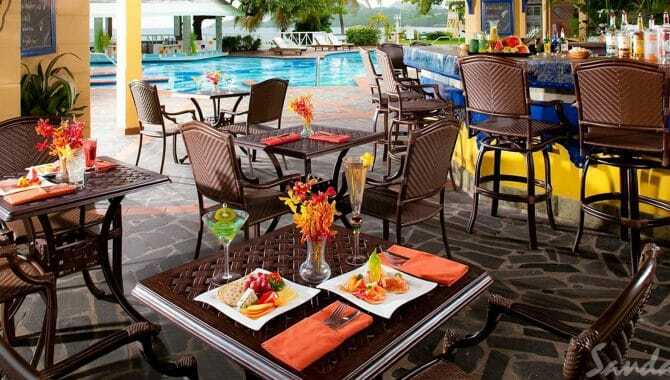 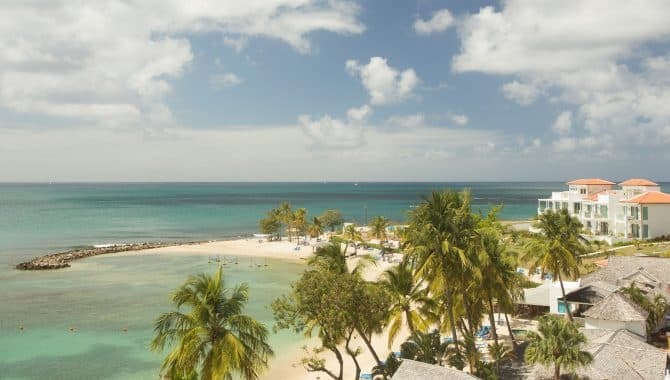 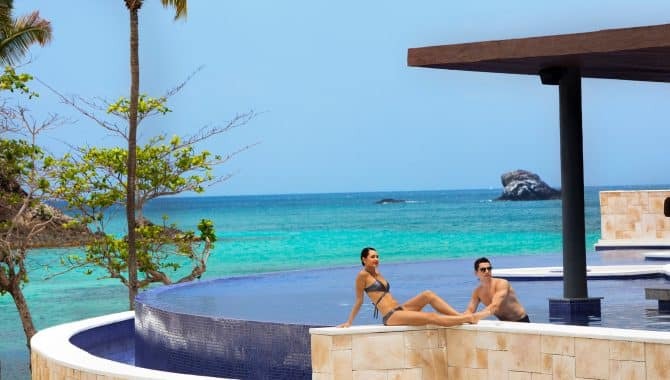 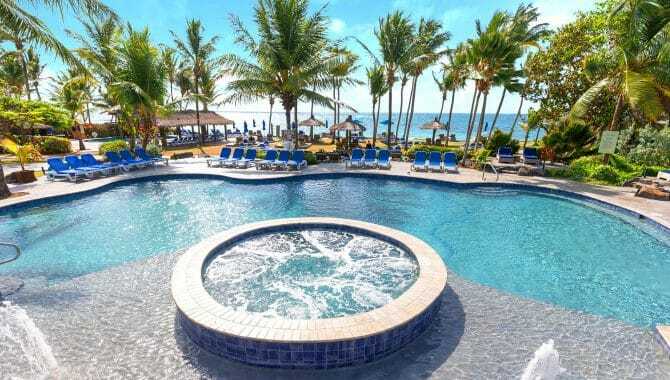 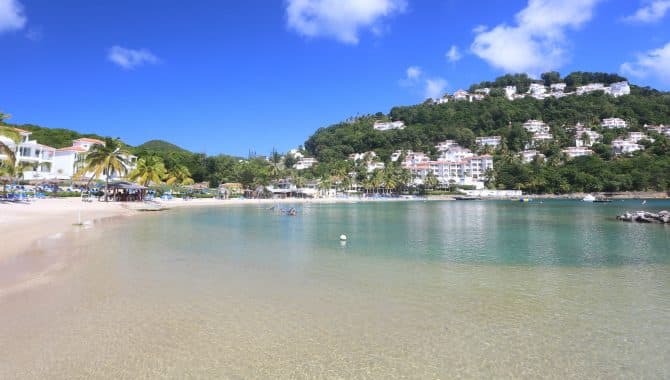 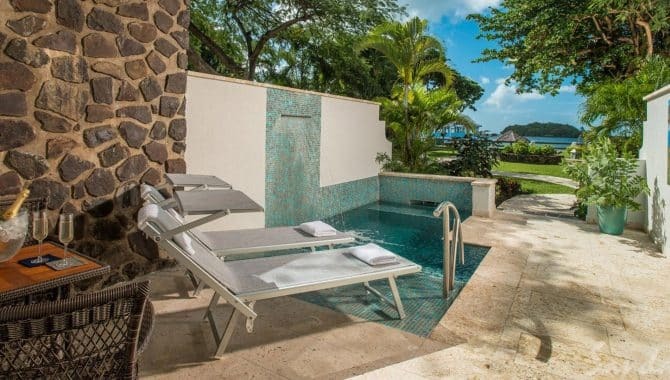 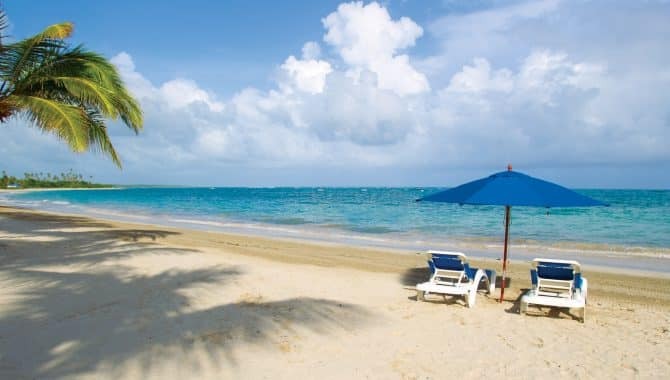 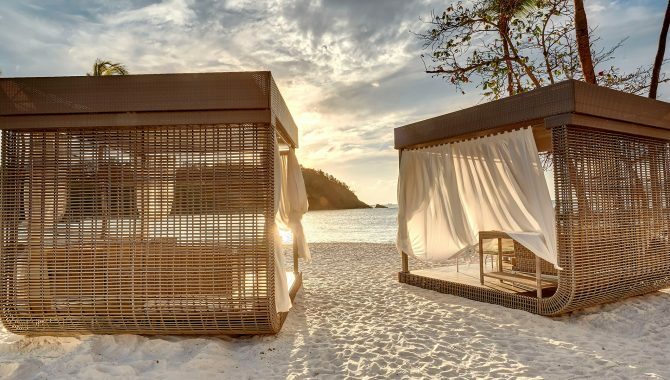 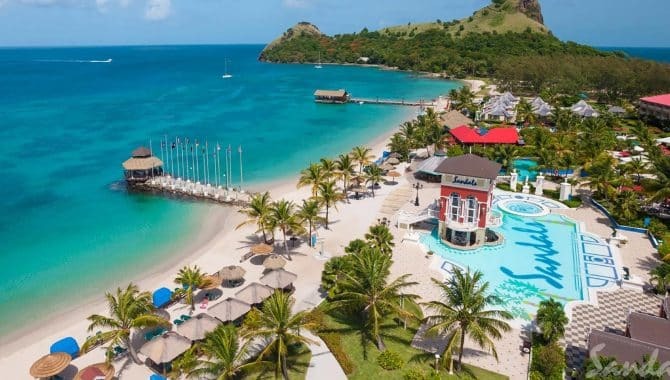 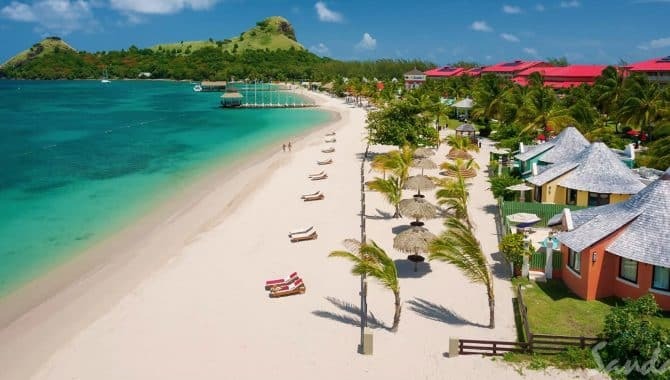 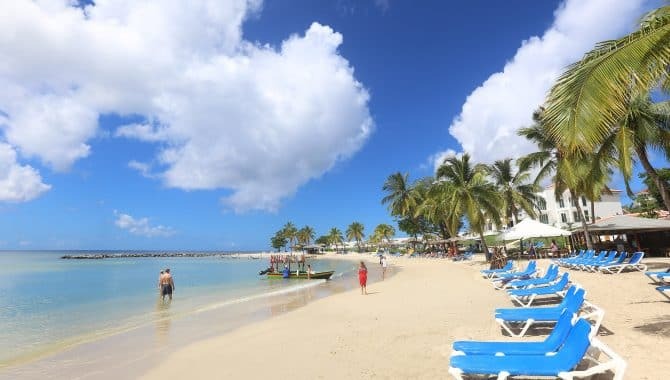 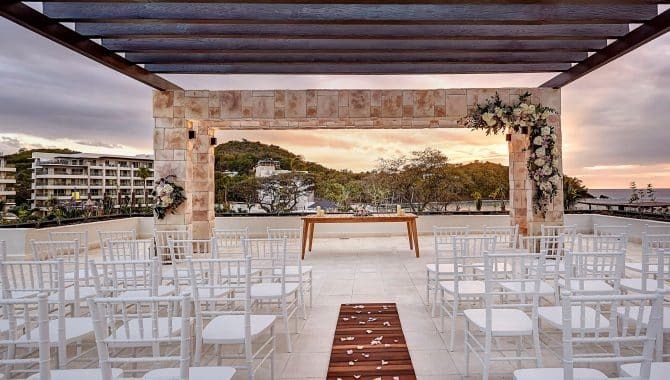 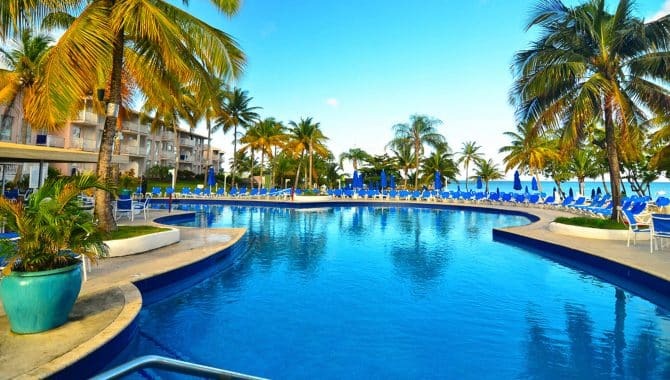 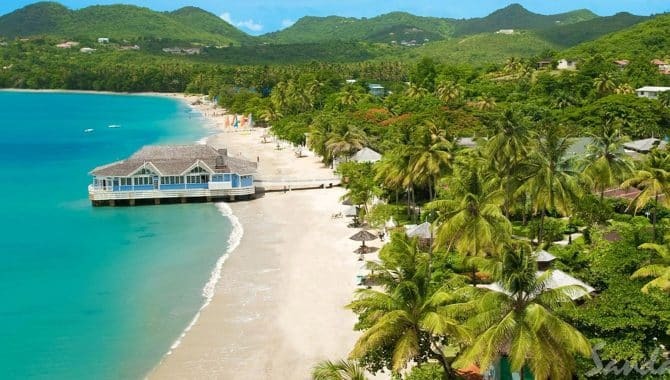 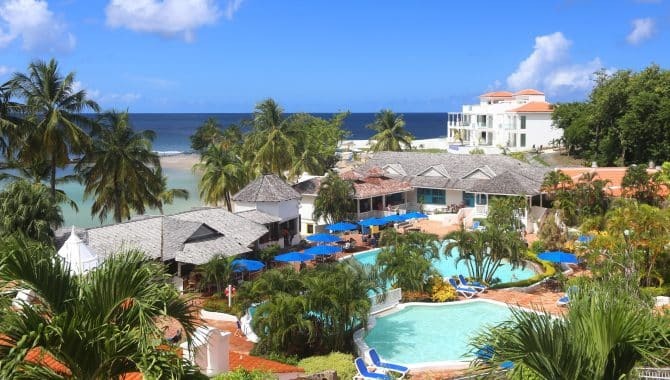 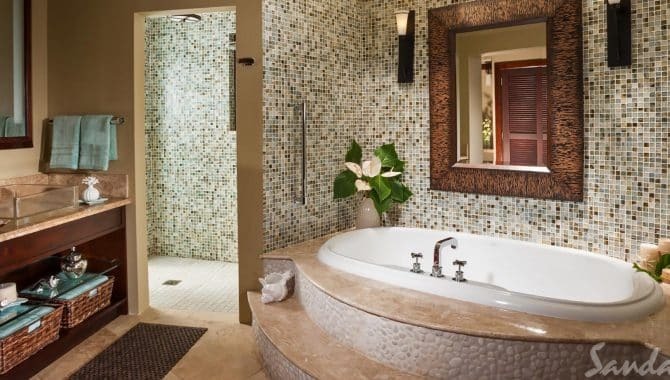 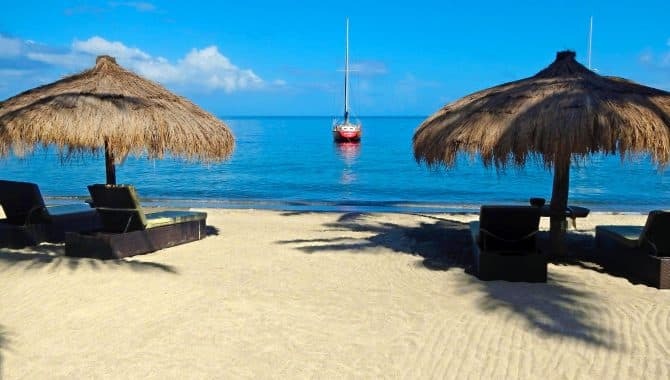 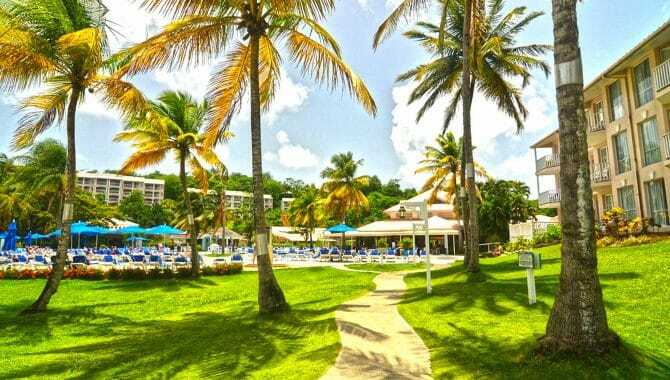 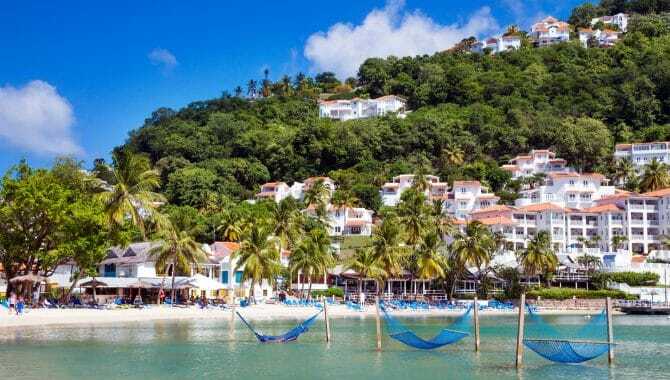 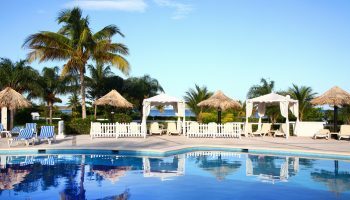 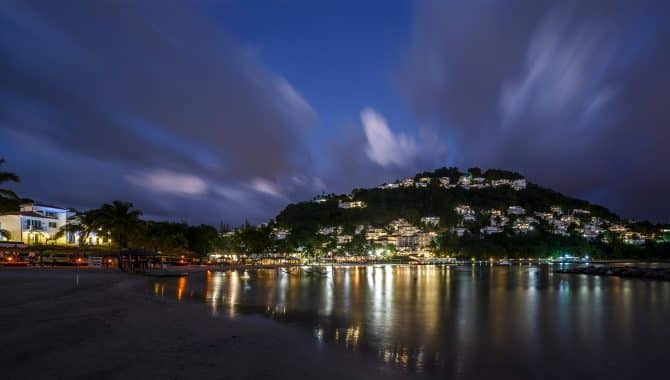 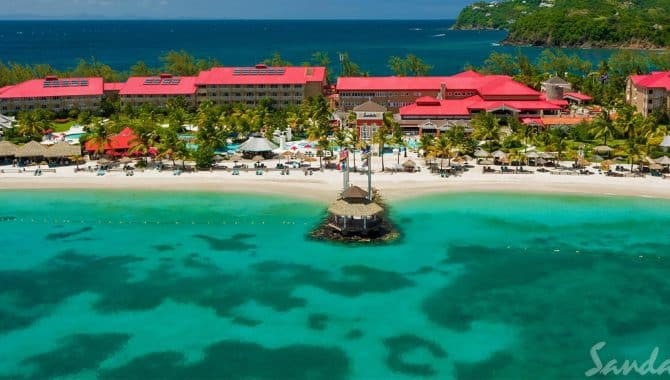 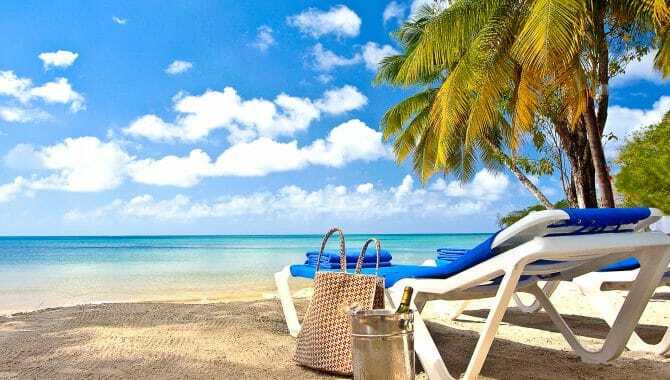 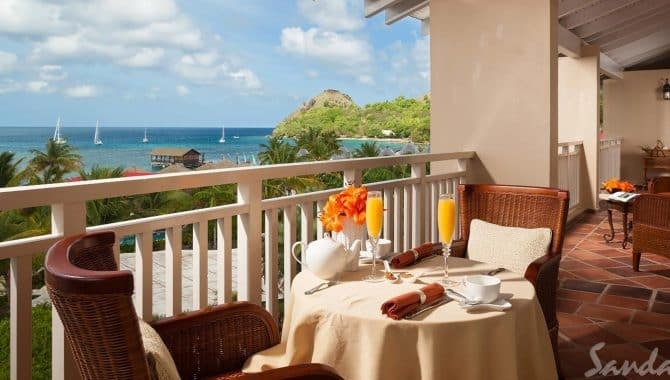 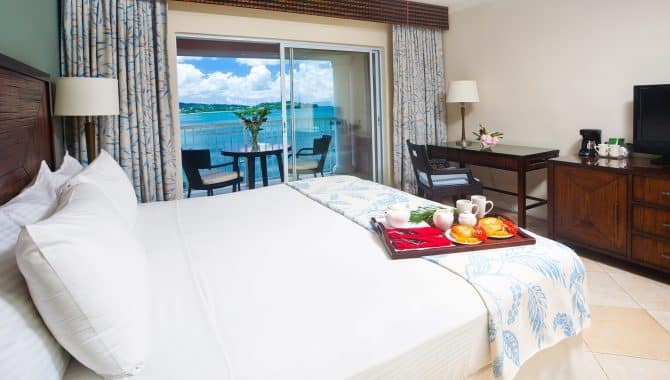 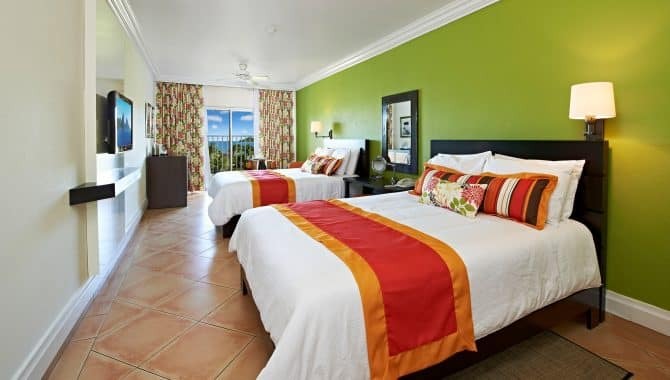 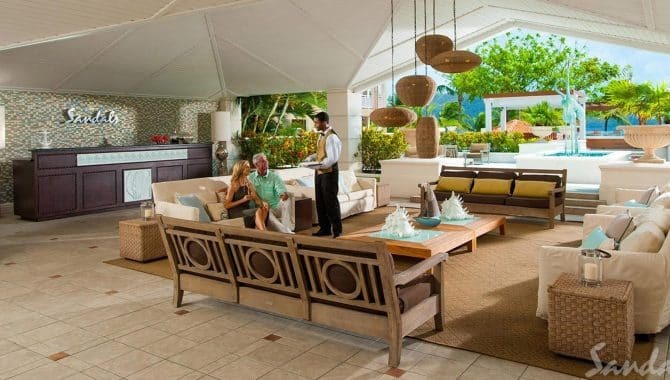 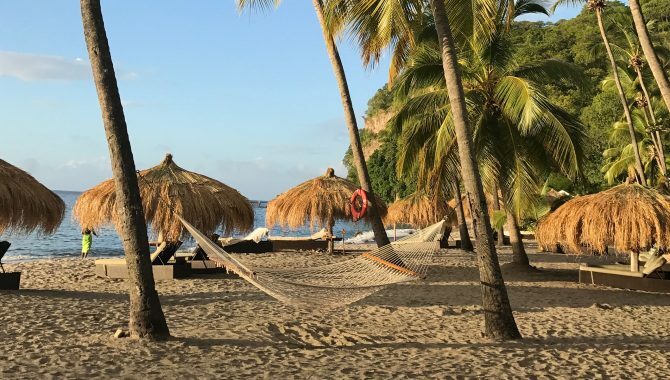 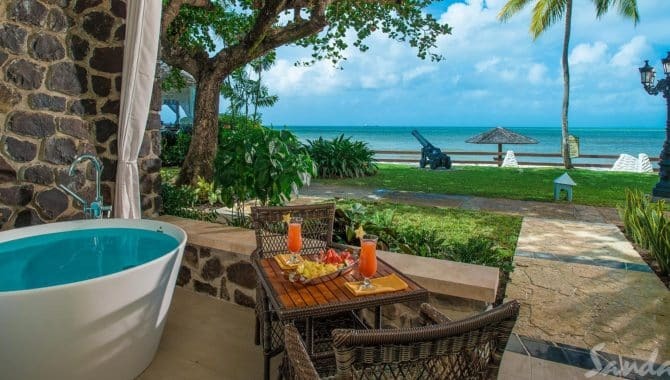 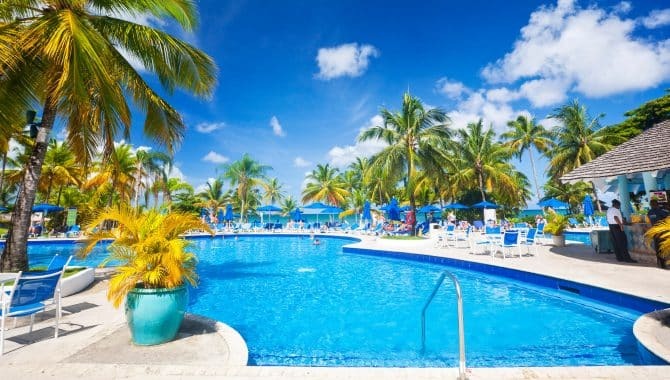 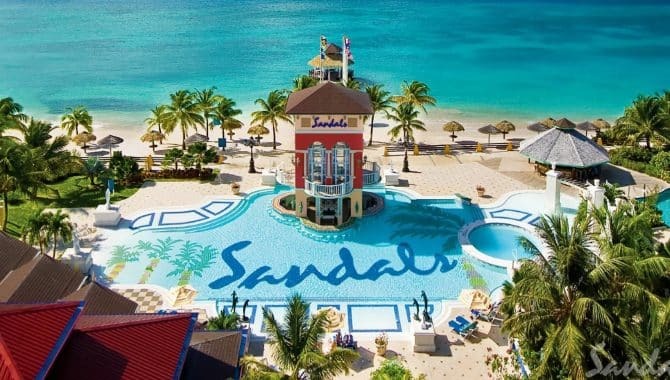 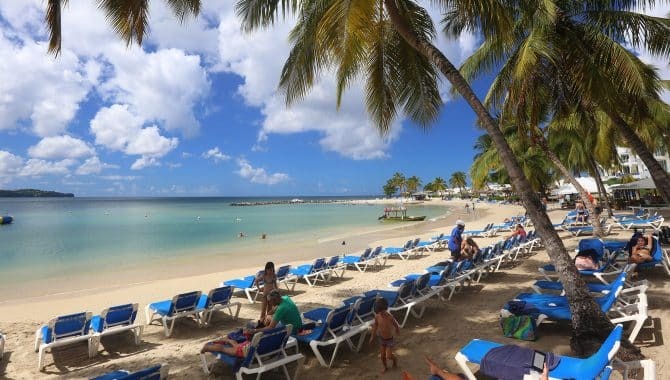 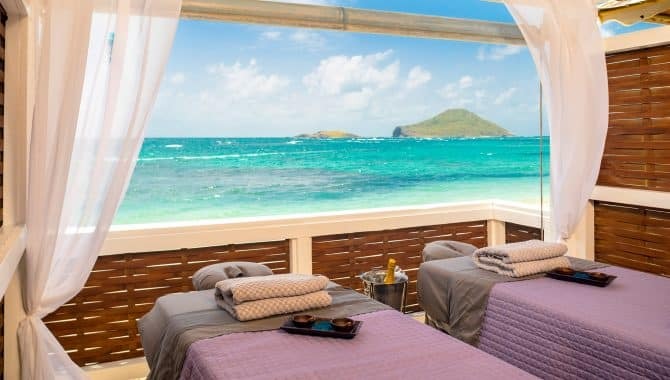 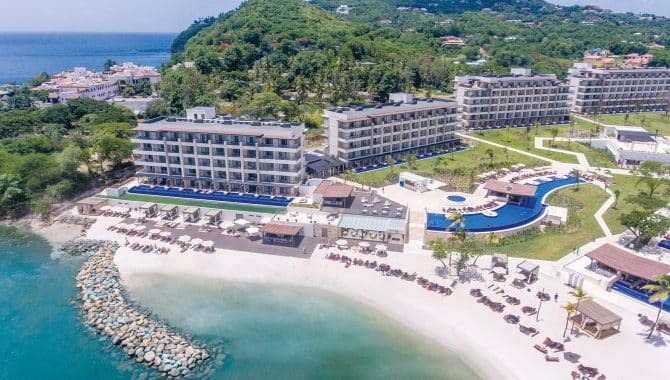 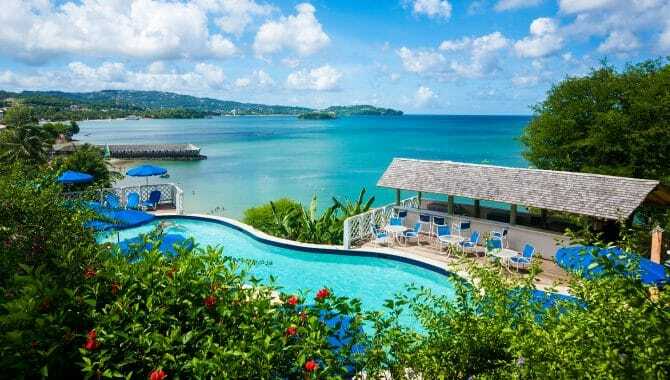 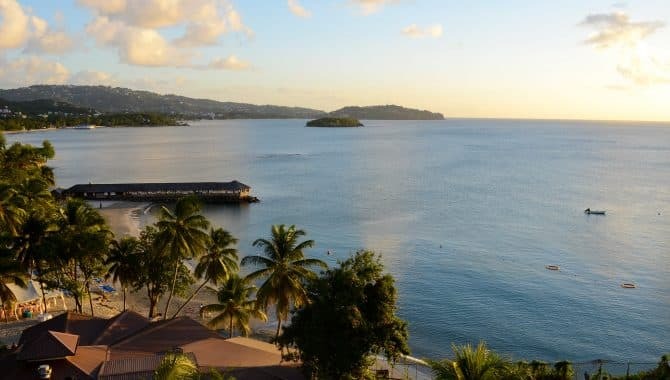 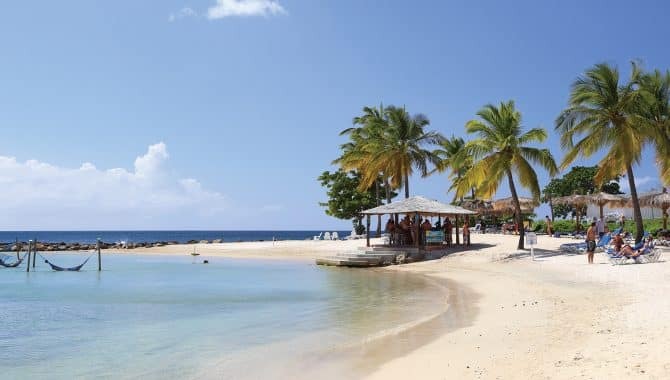 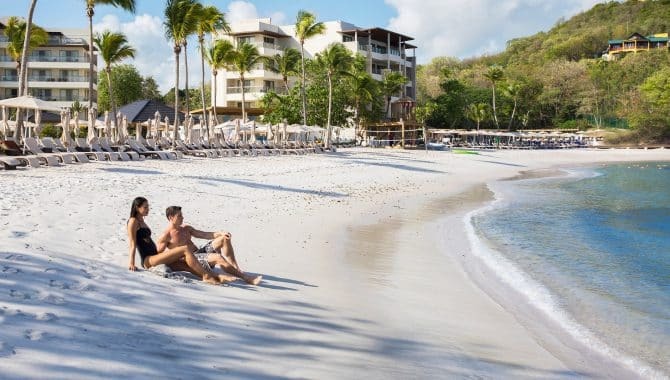 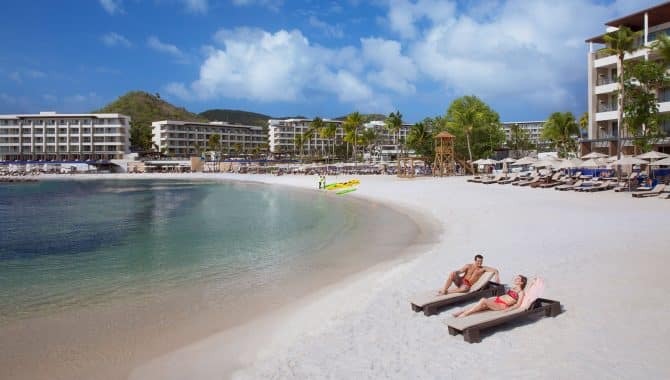 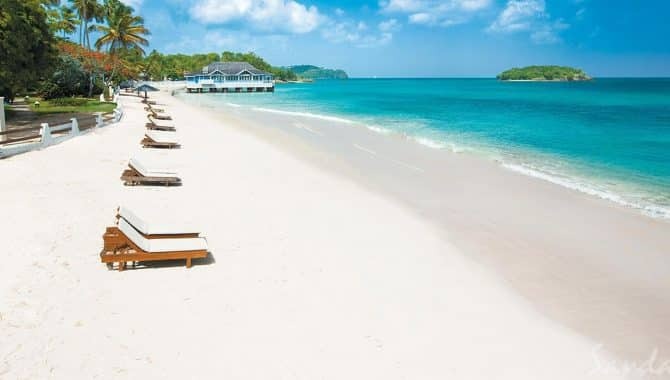 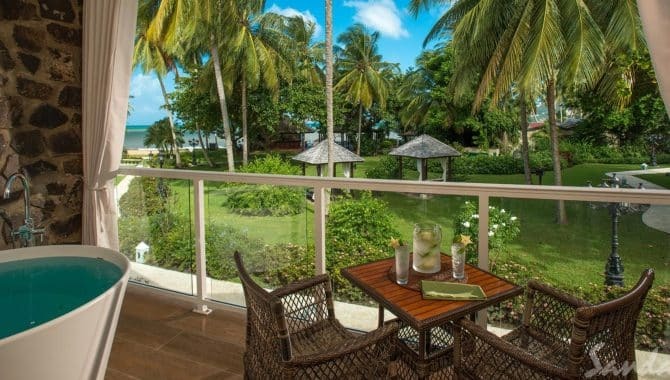 Whether you’re picturing private infinity pools overlooking the ocean, three-walled rooms allowing you to experience nature or a combination of the two, St. Lucia beach resorts wow in every category. 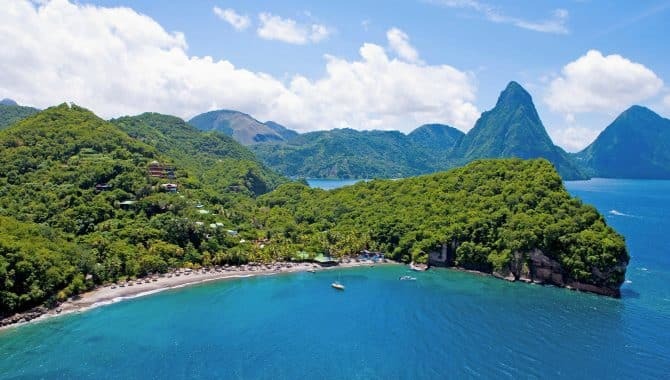 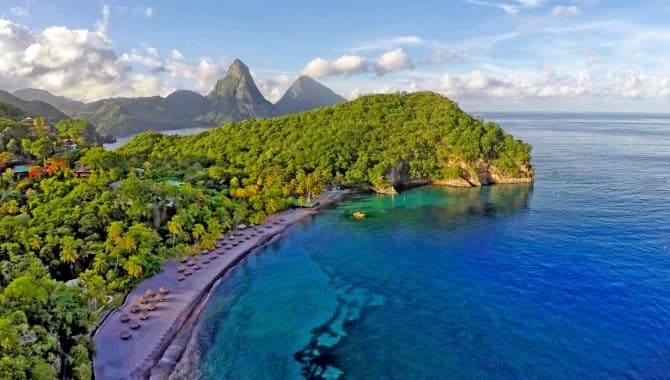 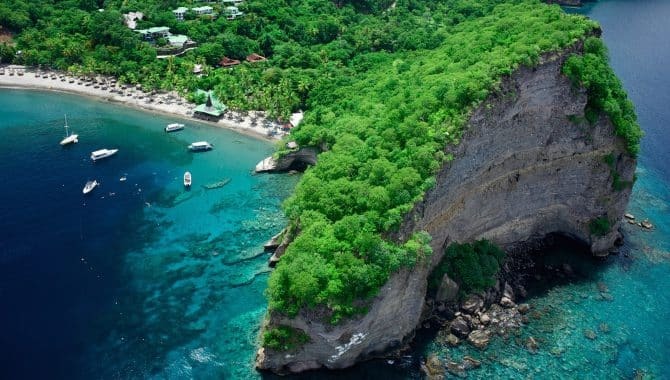 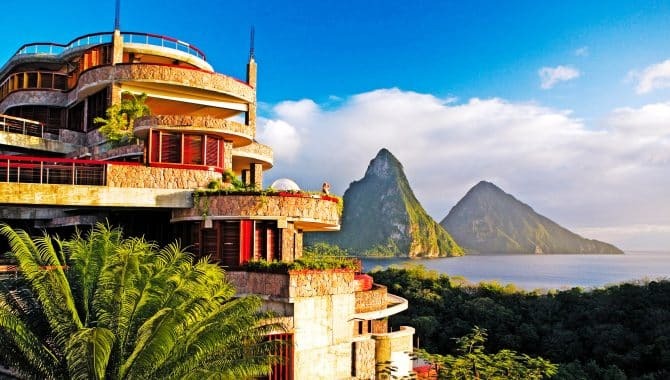 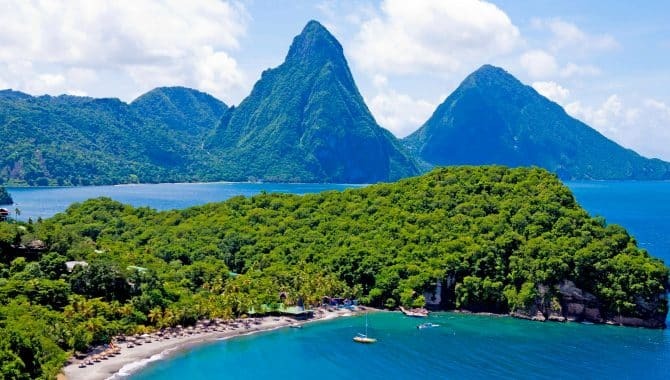 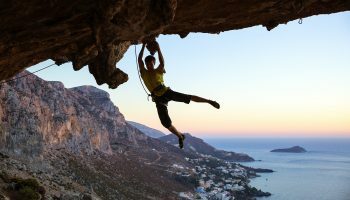 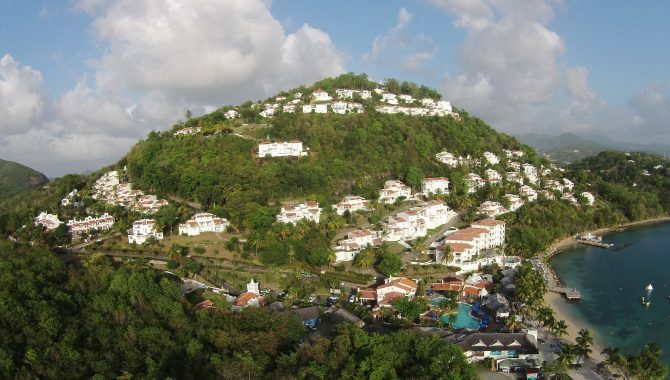 St. Lucia is one of the most mountainous islands in the Caribbean, and Anse Chastanet Resort puts you right in the middle of it. 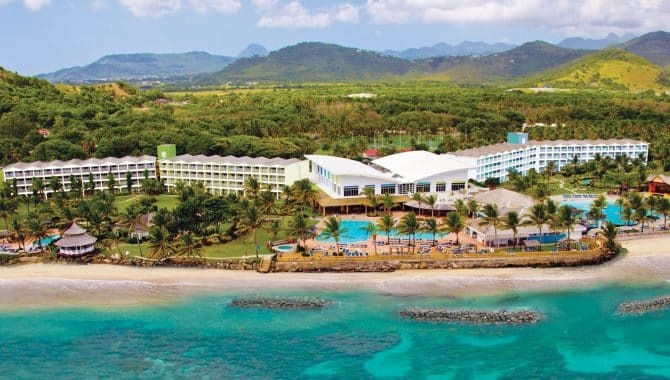 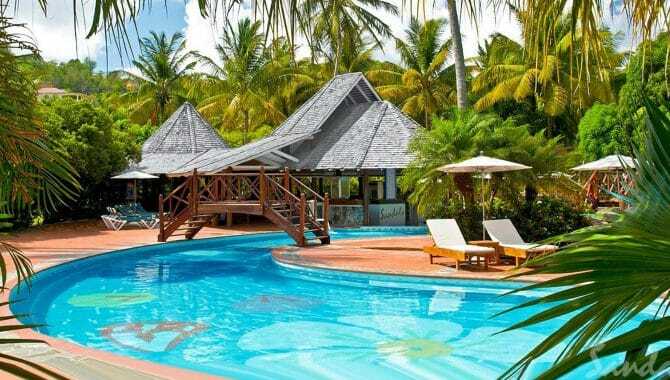 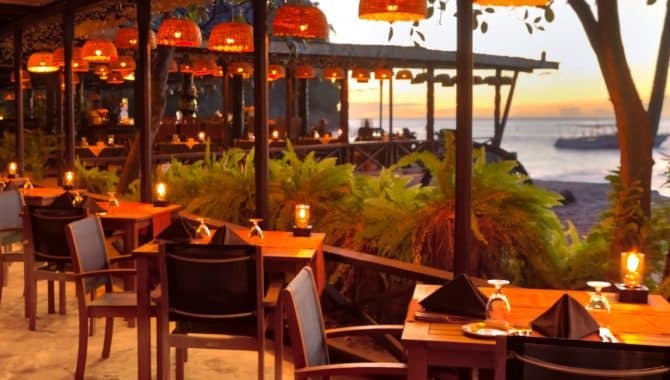 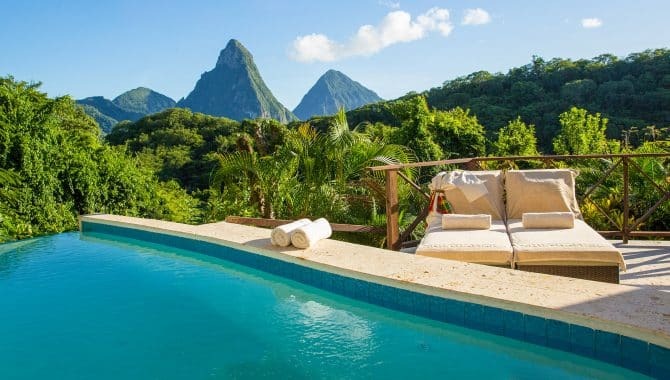 It’s the only resort on the island with a view of both the Piti and Gros Piton mountains. 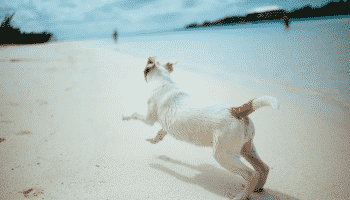 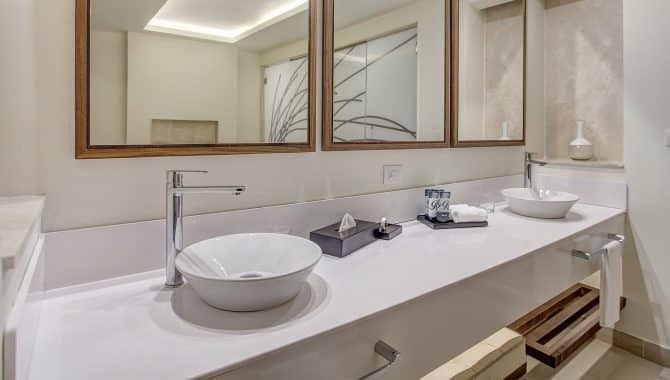 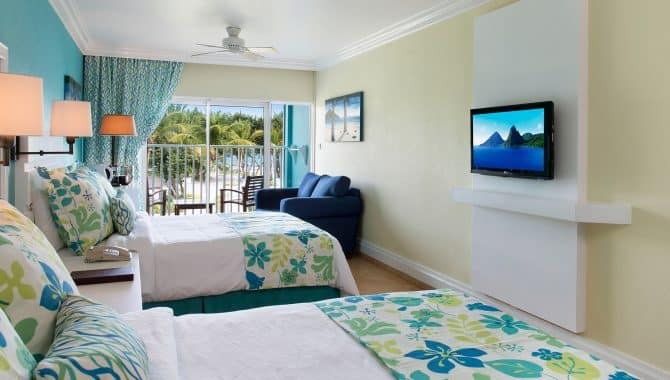 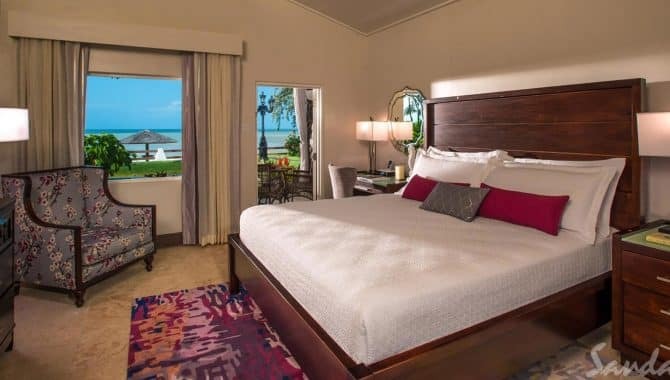 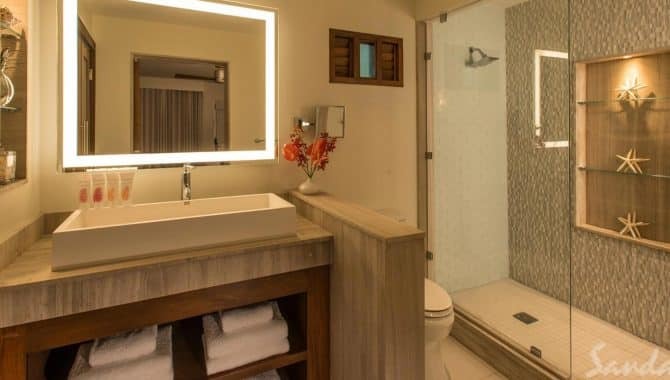 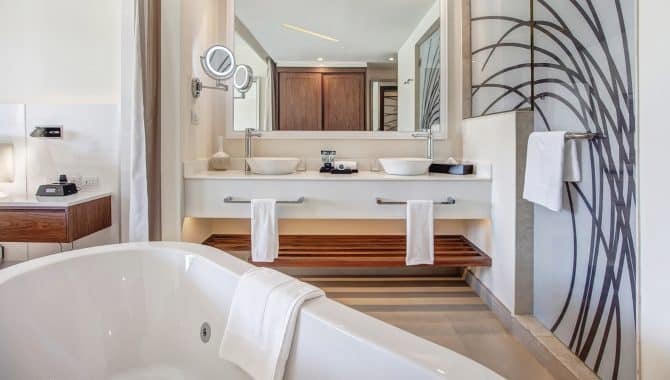 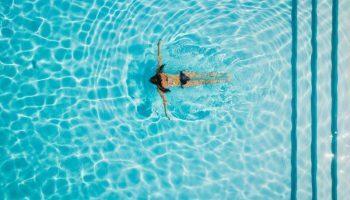 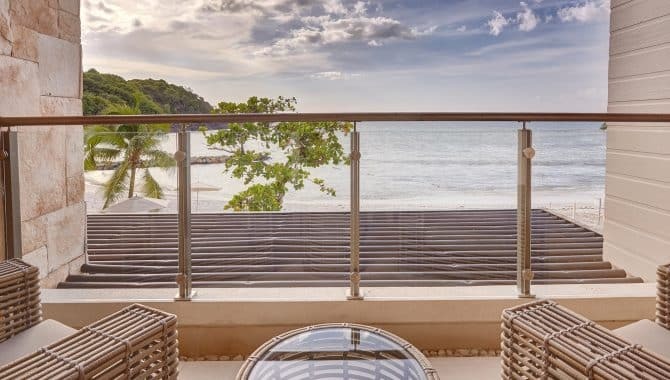 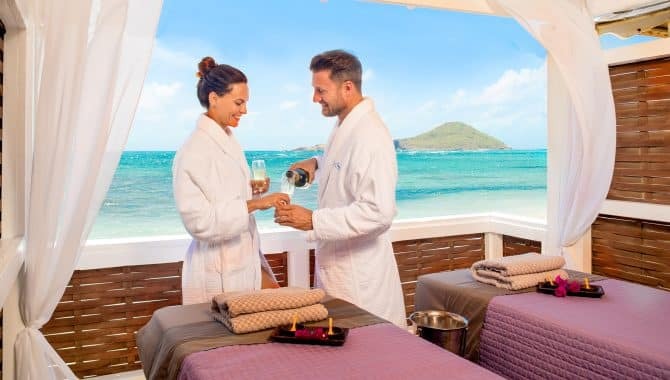 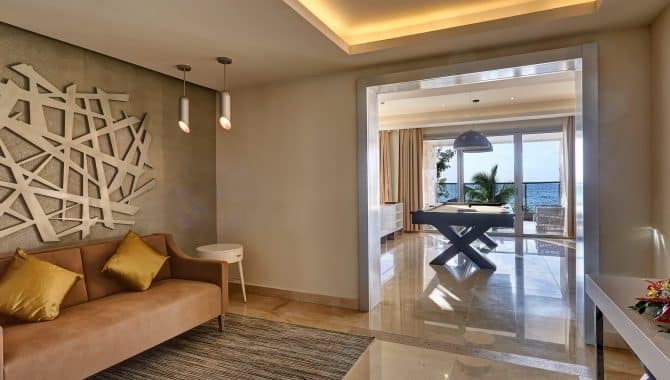 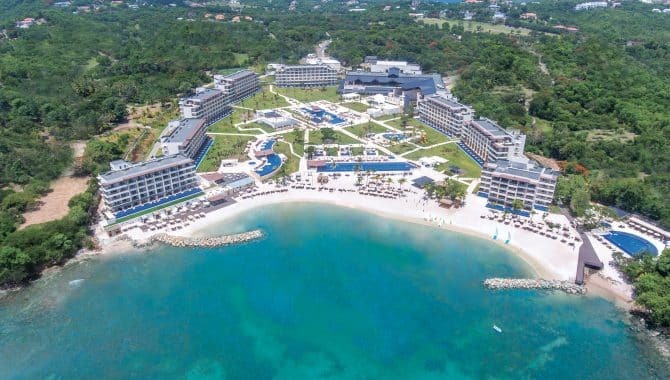 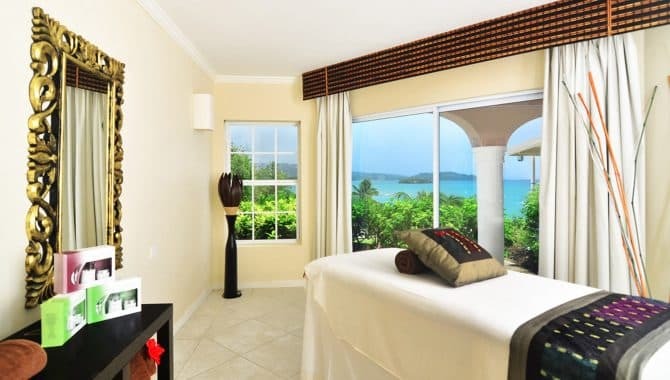 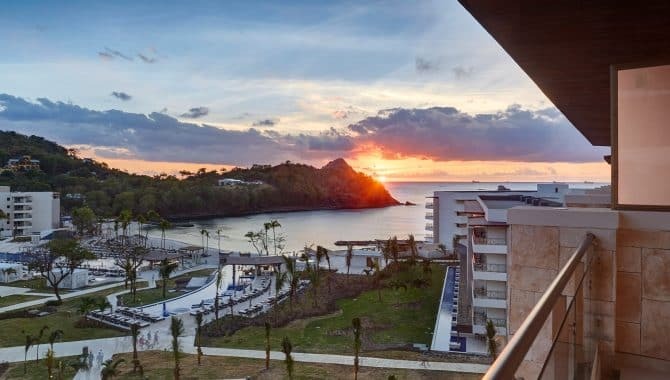 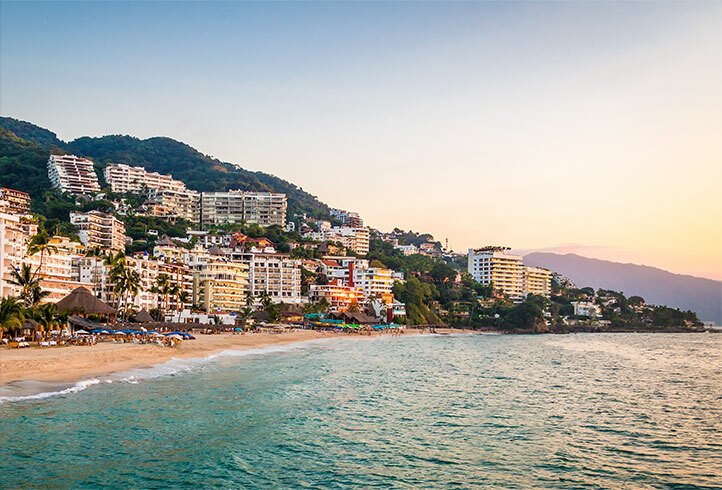 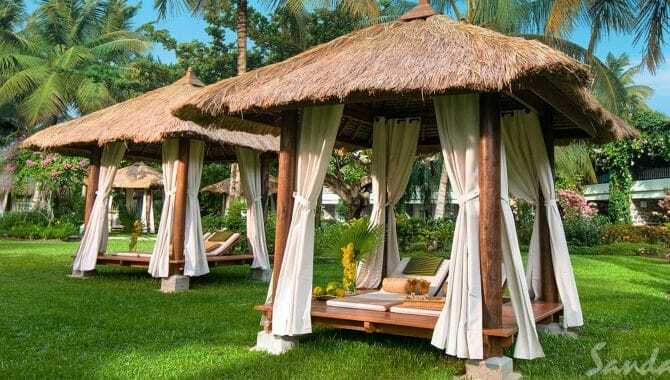 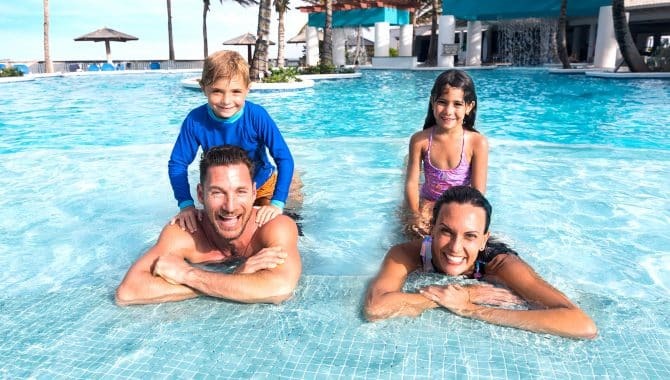 Amenities include free WiFi, free parking, twice-daily yoga classes in a beachfront pavilion and a spa with indoor and outdoor treatment areas. 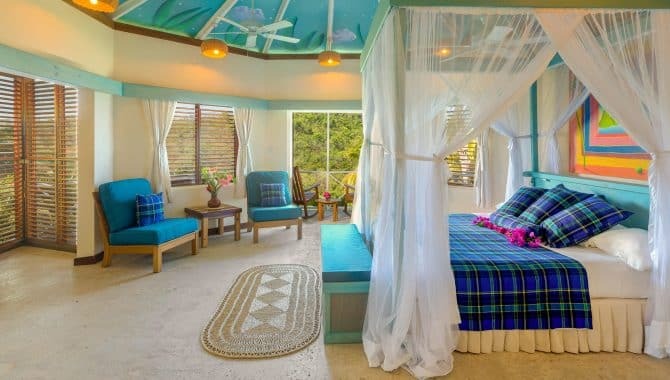 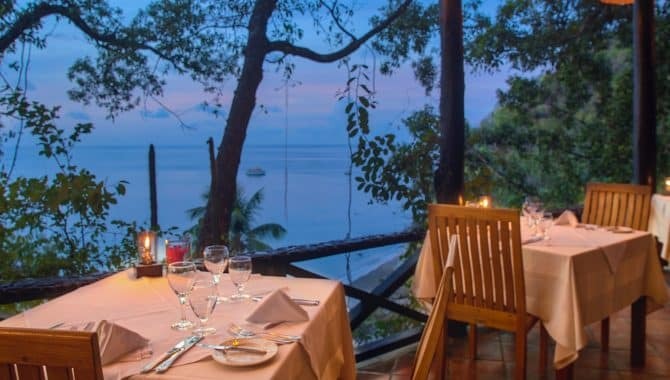 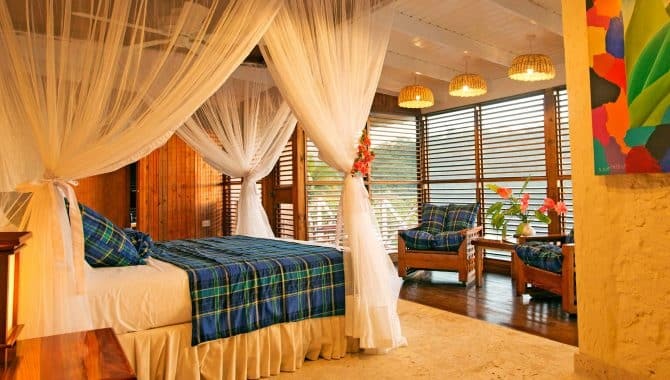 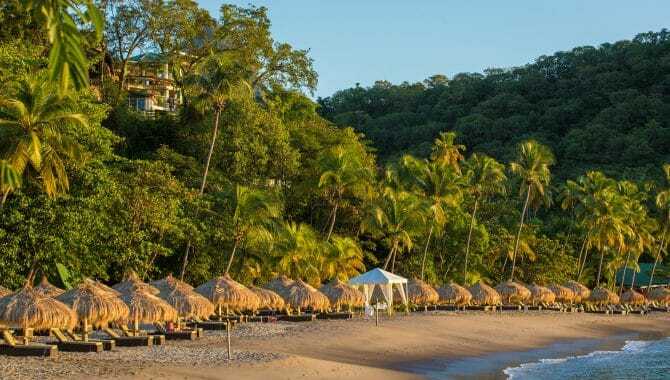 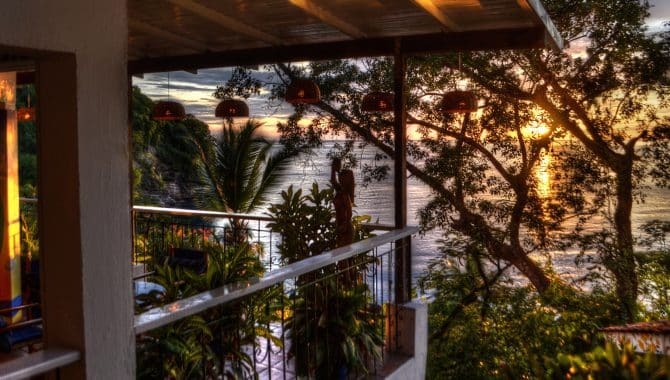 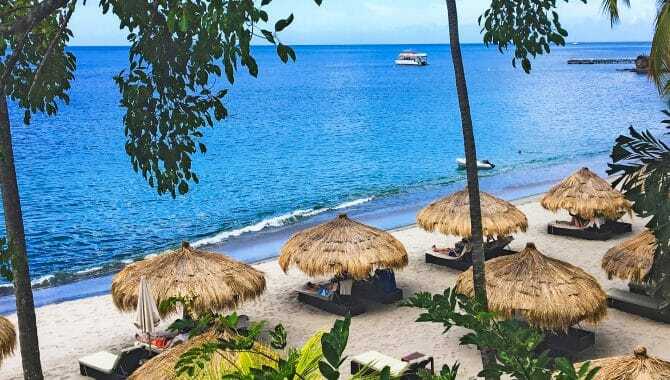 Thirty-seven of Anse Chastanet’s rooms are scattered along the lush hillside, and the remaining 12 are in a beautiful garden at beach level. 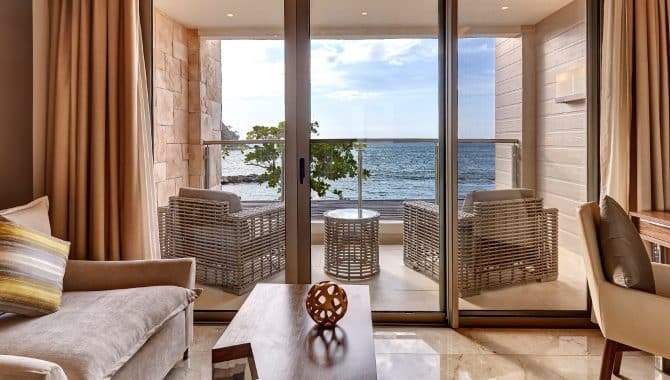 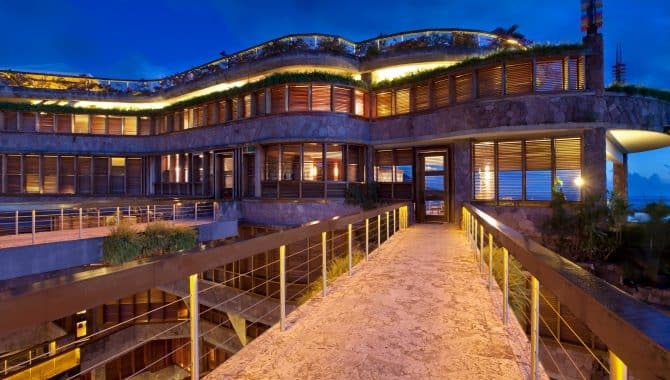 Some hillside rooms have open fourth walls, while others feature wooden louvre walls that open onto balconies or patios. 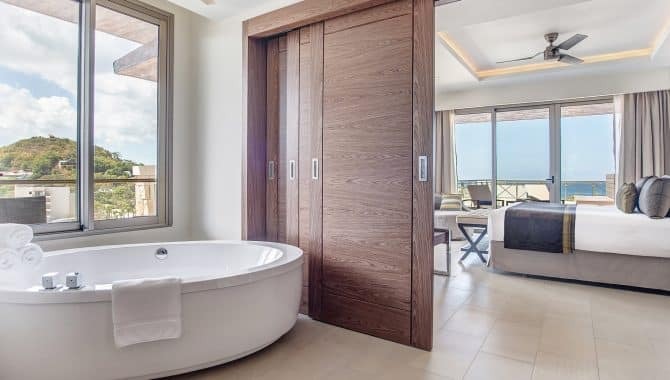 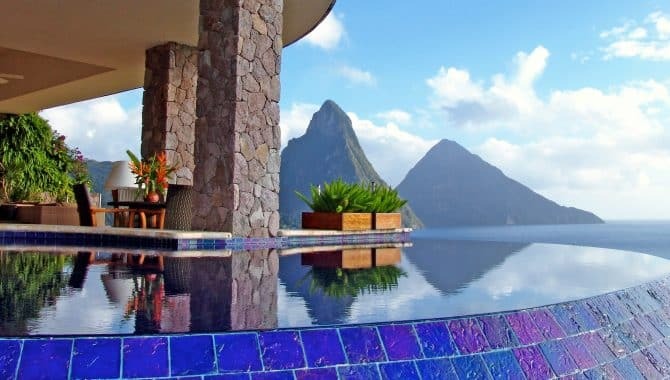 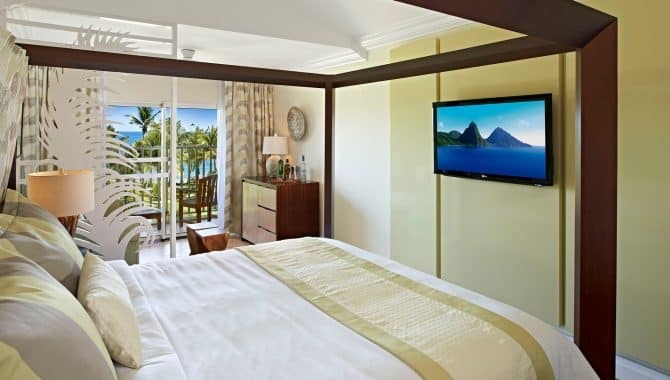 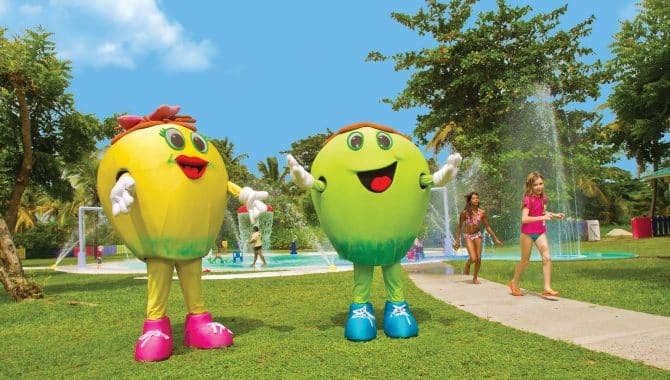 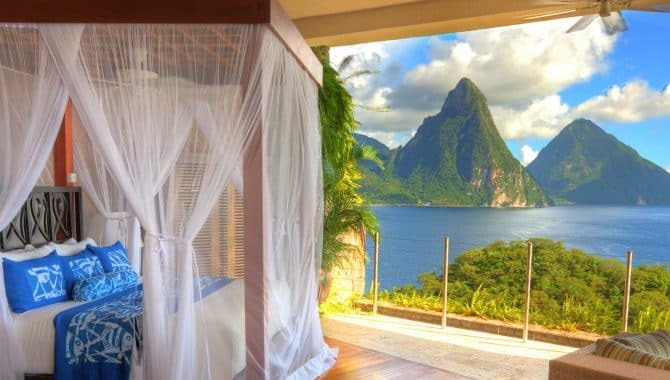 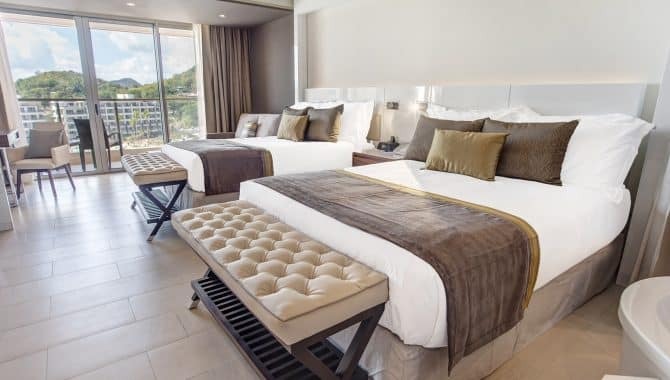 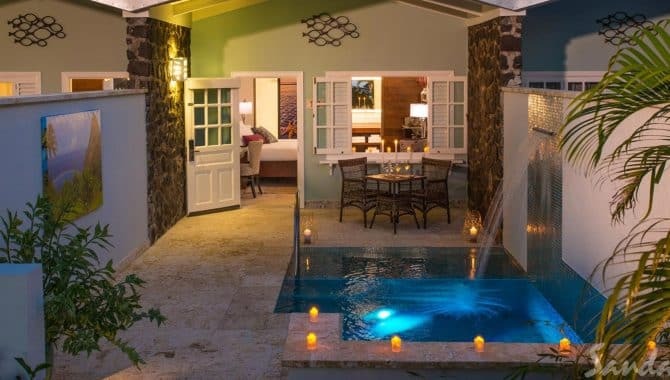 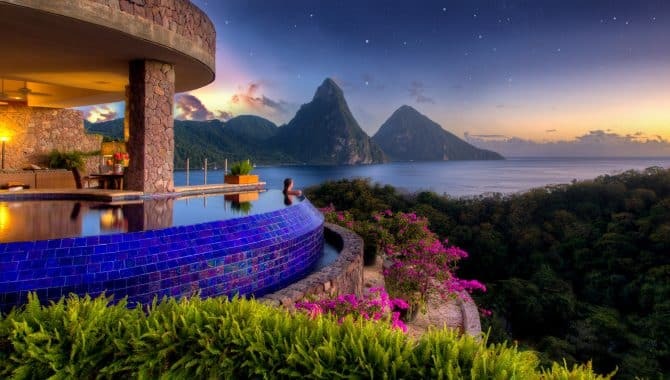 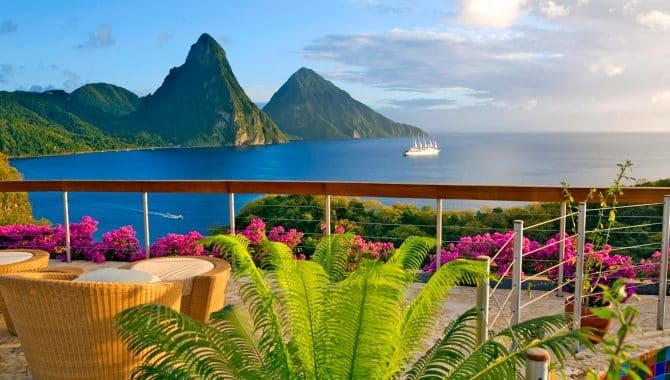 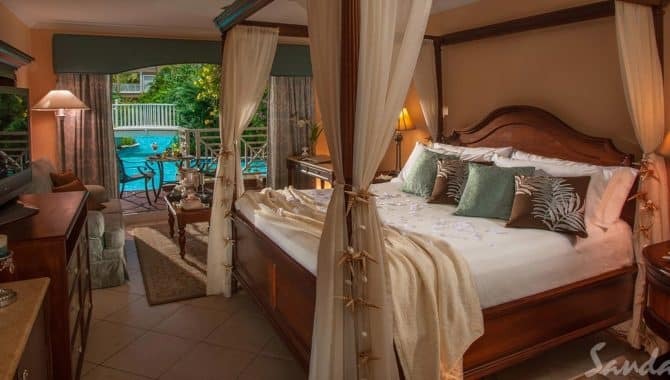 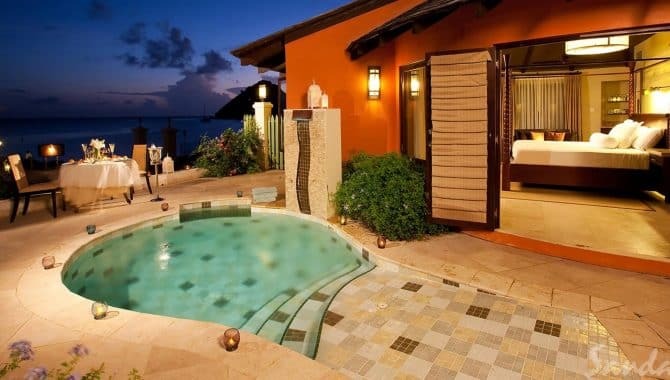 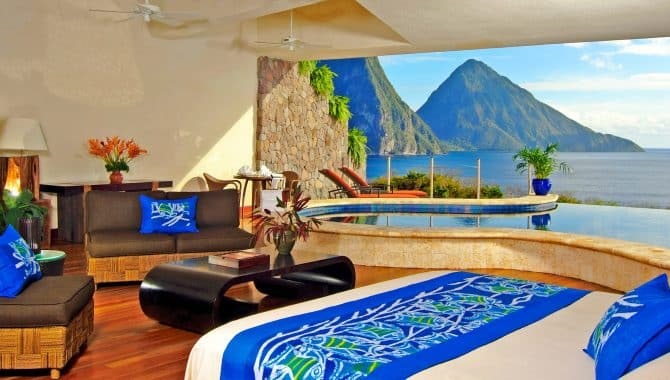 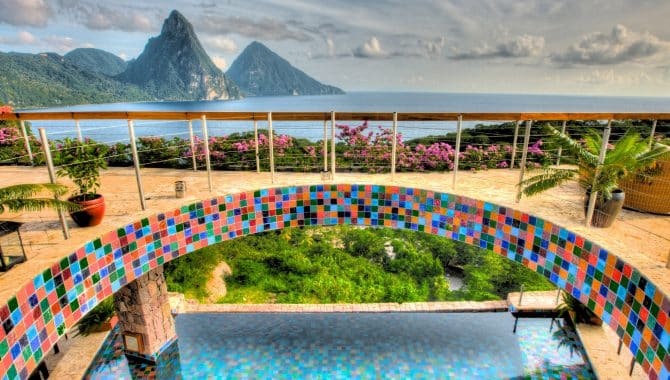 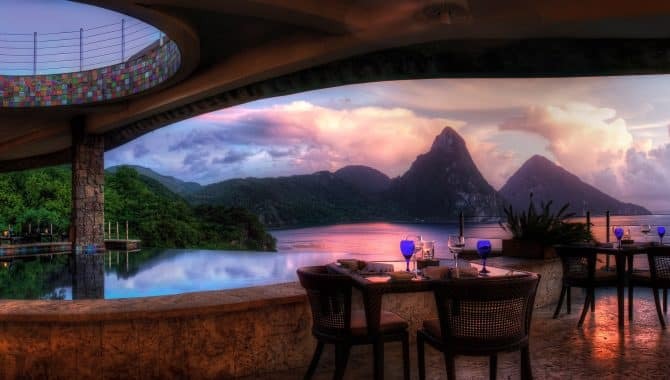 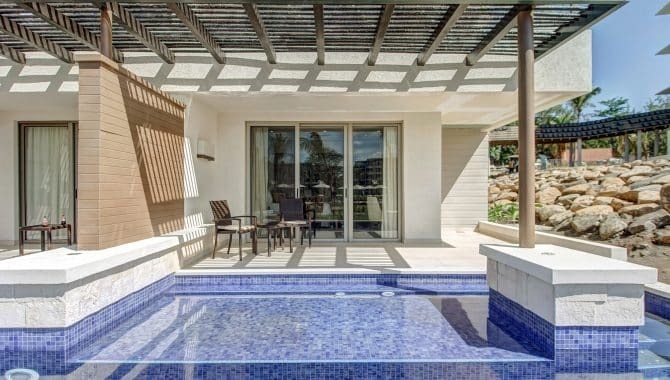 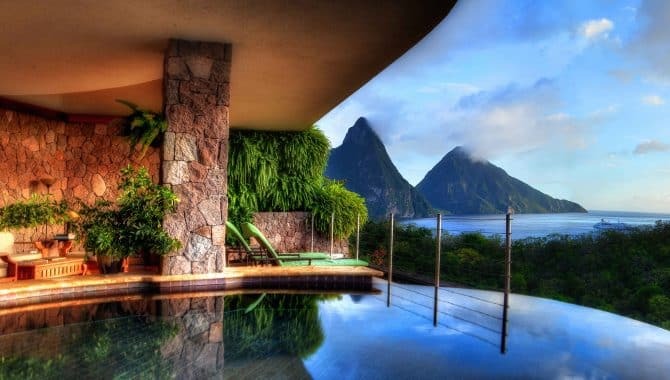 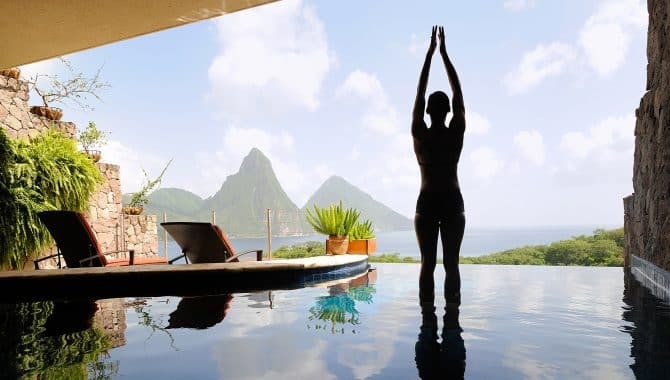 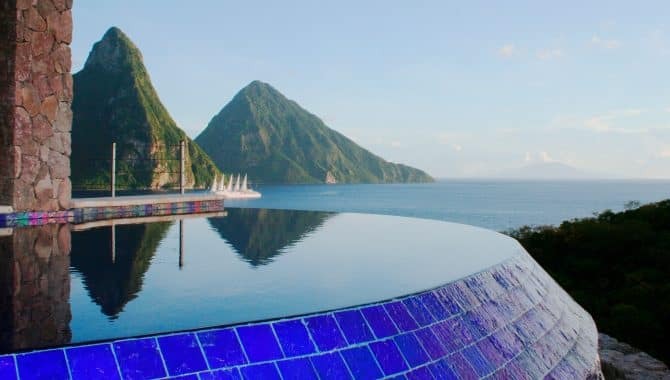 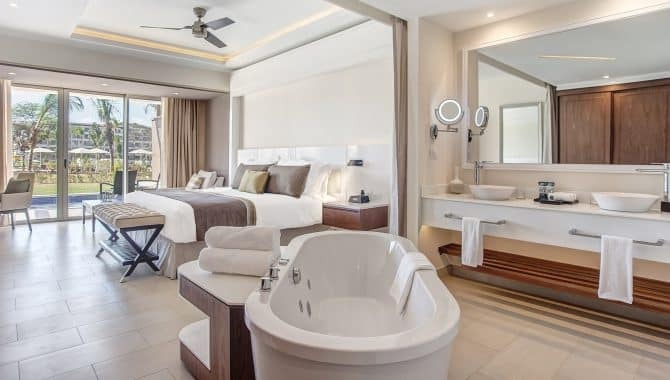 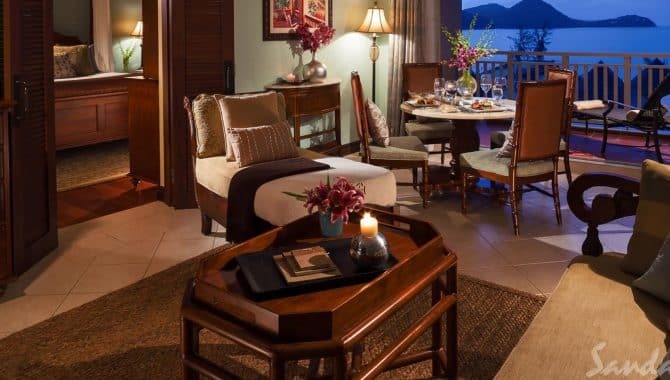 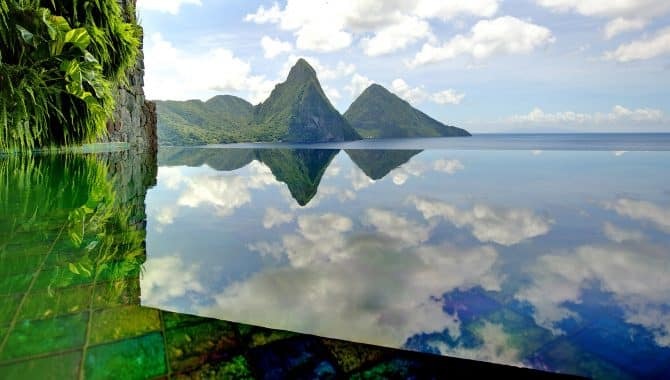 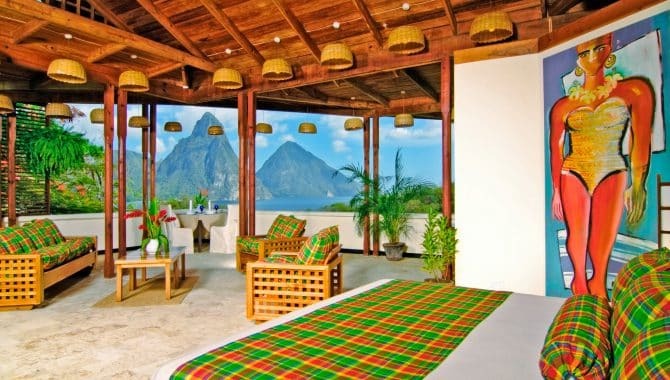 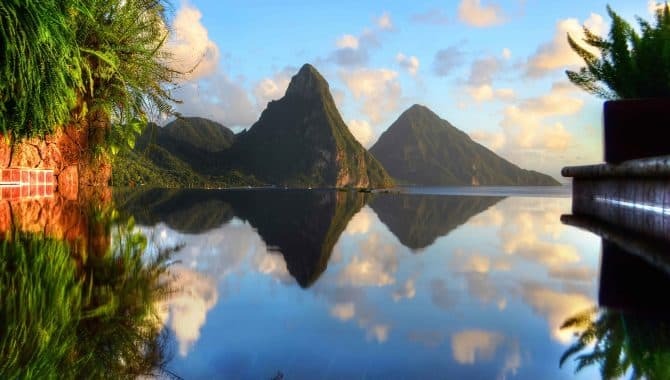 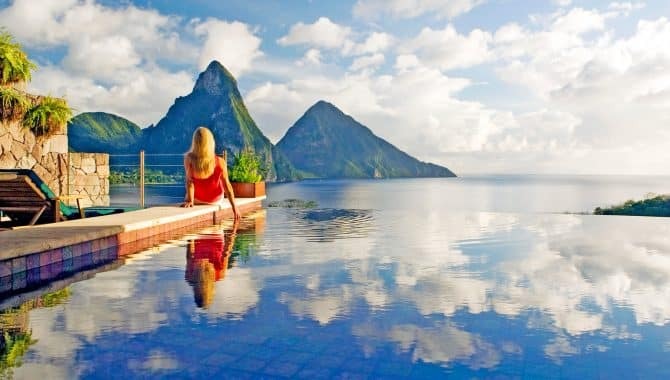 The six different room categories also include the Piton Pool Suite, where guests can enjoy a 160-square-foot private pool while taking in a spectacular view of the Pitons. 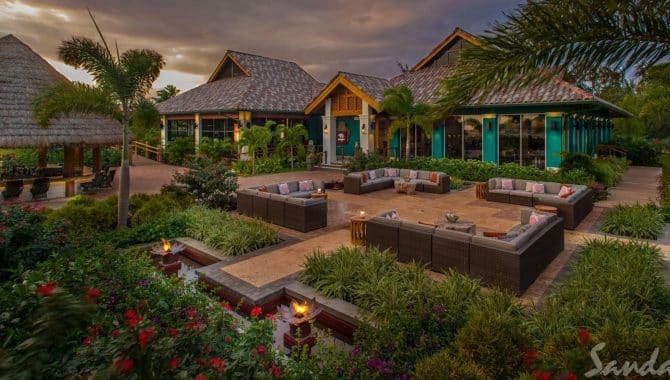 Five restaurants are on-site and available to guests. 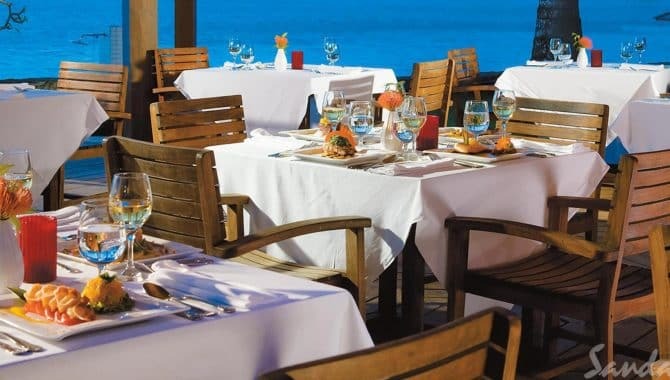 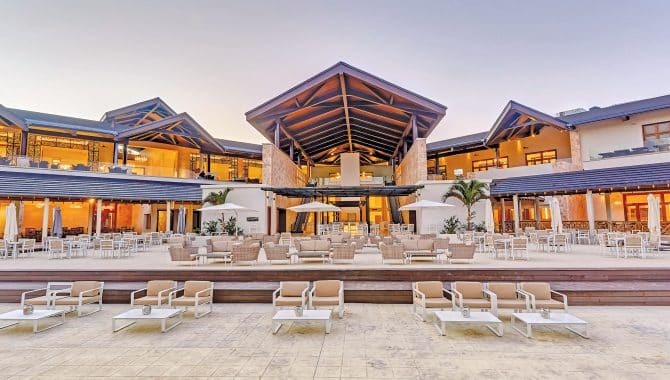 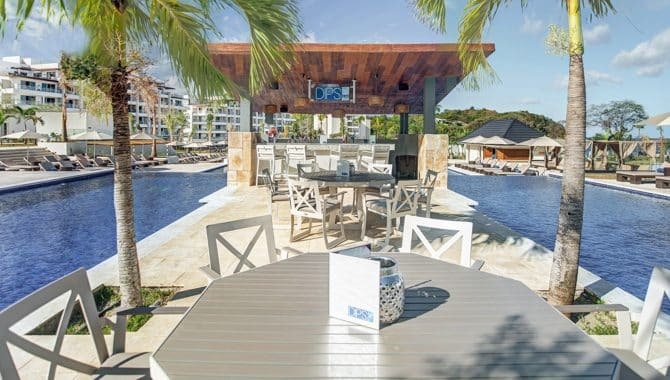 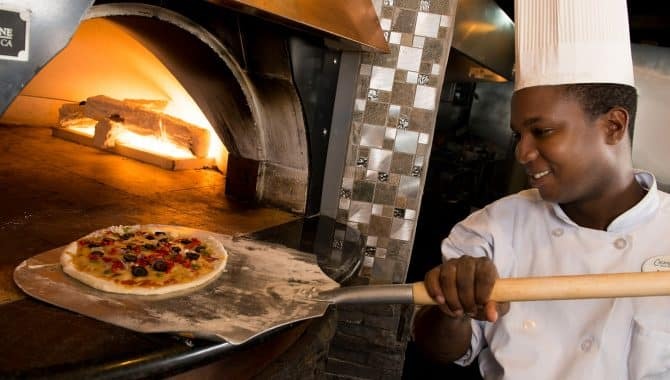 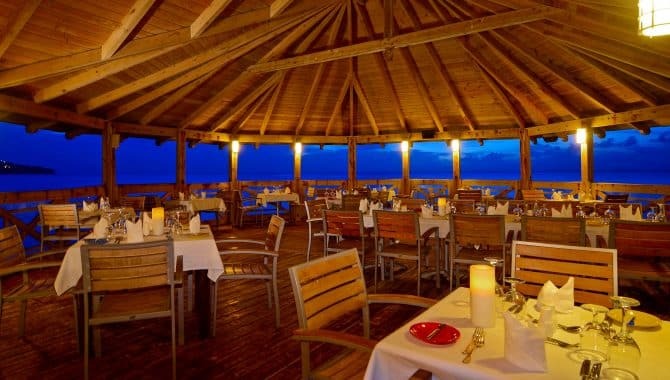 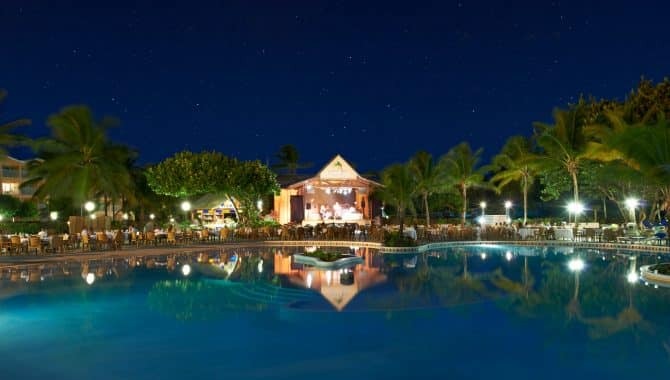 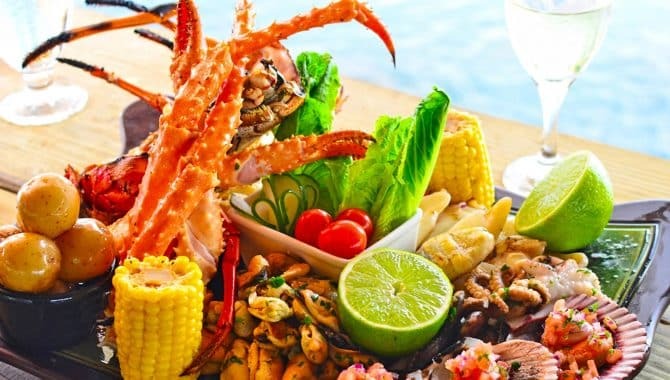 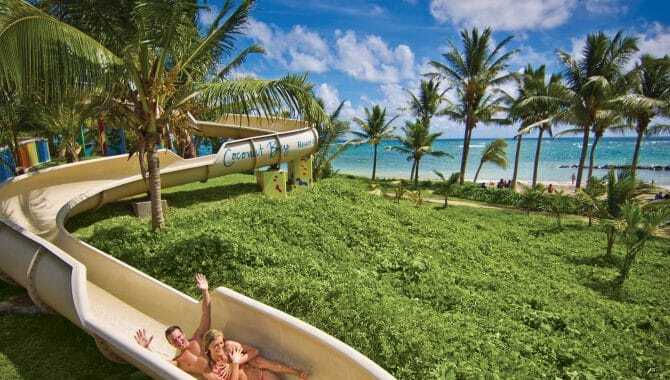 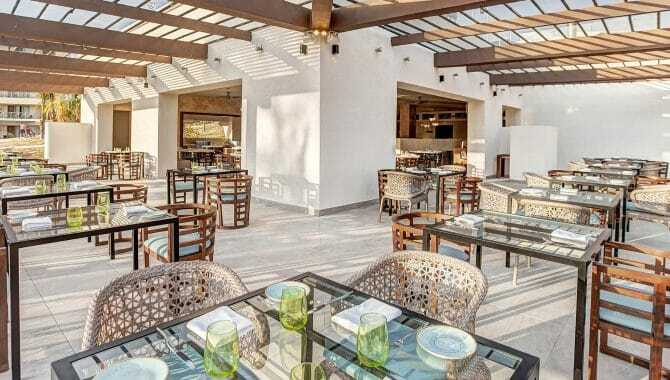 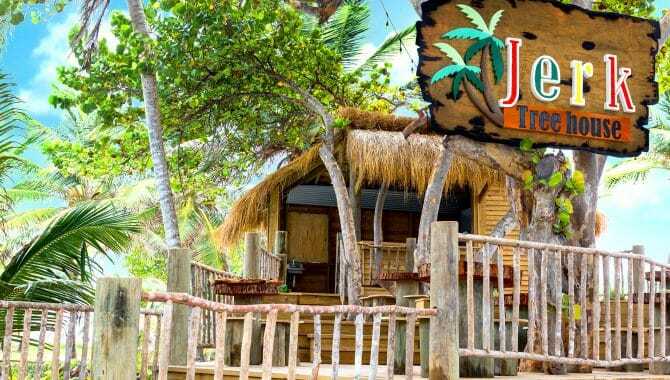 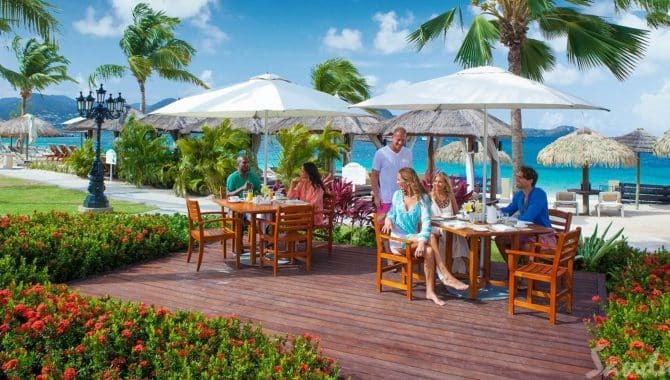 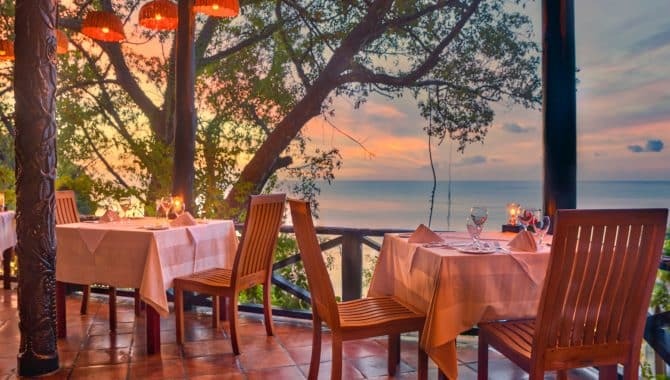 Have an elegant breakfast or dinner at the Treehouse, vegetarian cuisine at Emerald’s and enjoy beachfront dining at Trou au Diable and Jungle Grill. 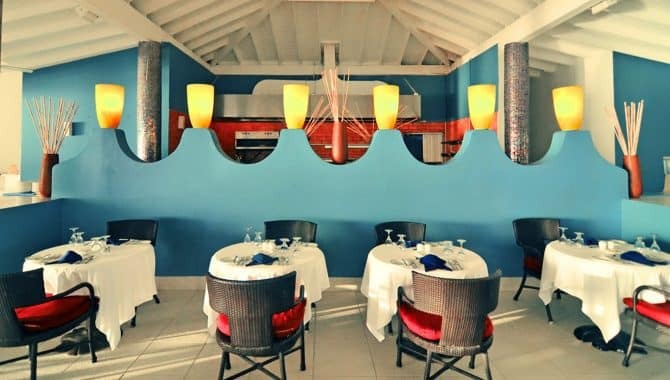 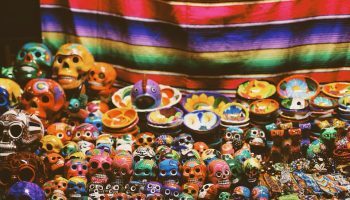 Trou au Diable offers a special Indian menu every evening except Tuesday. 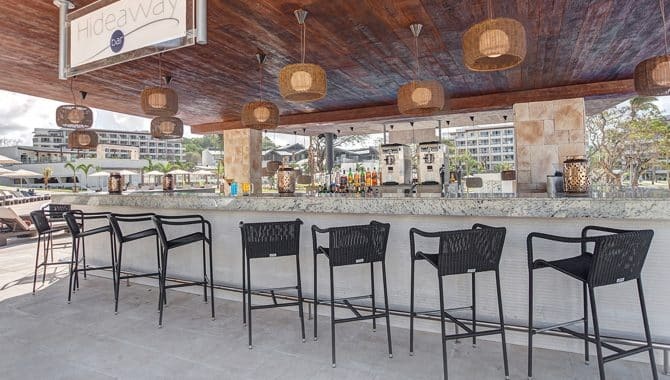 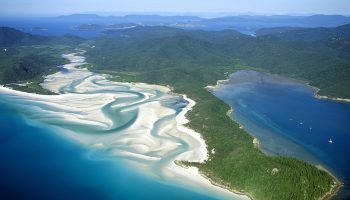 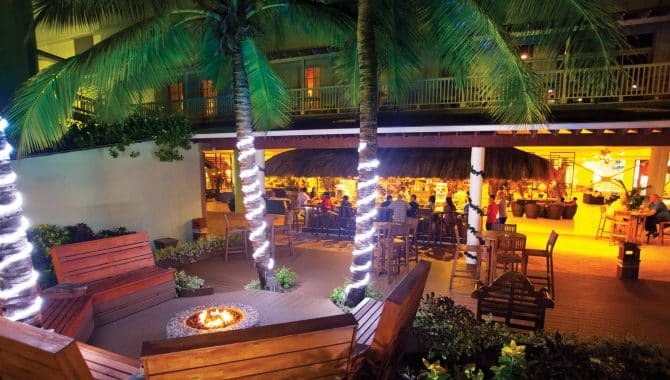 In addition, two on-site bars are open daily and offer a wide selection of wine, beer and cocktails.